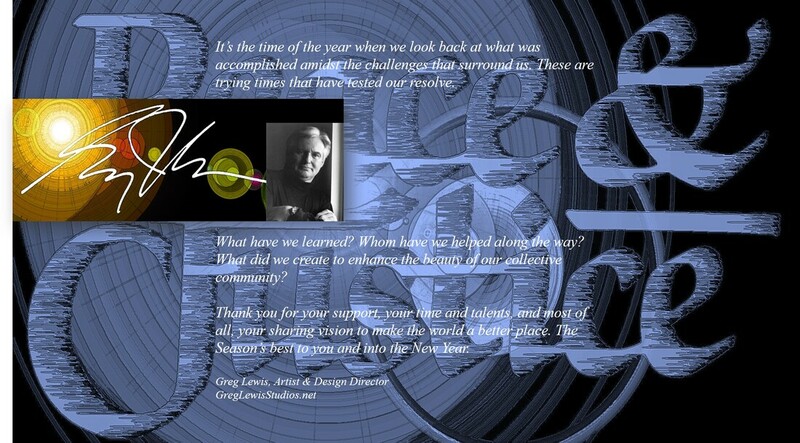 The following images are from past, present and on-going activities of the Greg Lewis Studios. Whether it's an art and design commission, art lecture or workshop, interior décor or furnishing project, art show judging...even a book cover, or custom art tour, Greg is ready to serve your art and educational needs. 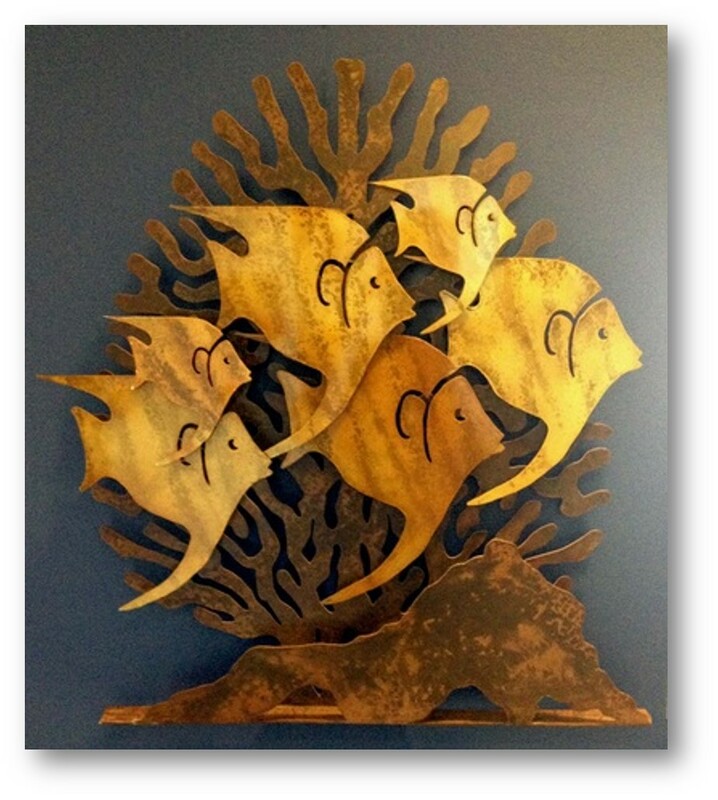 ​Art & Design Consultations; Painting & Prints; Wood Relief Sculpture; Stained & Etched Glass; Metal Relief Wall Sculpture; Custom Furnishings & Decor; Art Murals...and much more. 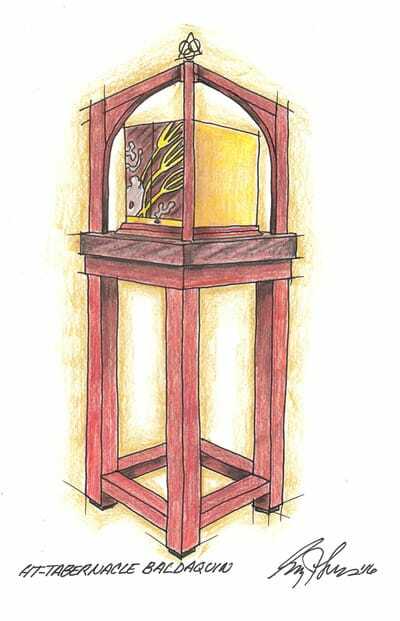 All commissioned projects most always start with and original drawing or pencil sketch and an established budget, based the intended use or purpose of the art, and or event. Don't forget to contact the Greg Lewis Studios for your current or future building project, or even your upcoming art education event. All photo images and video links are Copyright and reproduction rights are reserved. 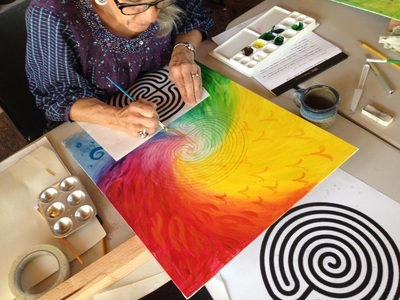 ​Building on centuries of art methods in process, we'll explore the artist's inspiration, skill and determination to create lasting works of art in three mediums. 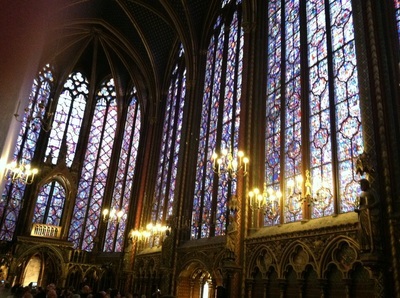 Stained glass with its vast ability to transmit design, light and color. Clay sculpture with its malleable qualities to shape and form dimensional likeness. And the art of illuminated manuscripts. All categories of creative art works, produced and fabricated by the artist, are protected from infringement under US Copyright laws. ​Also known as Intellectual Property, the protections granted the originator of the art, are covered for a lifetime, plus 70 years. Join us for this informative presentation of the Business of Art Copyrights: To be, or not to be. What it is...what is dose and how it benefits the artist's ability to earn a living through the reproduction of artworks. 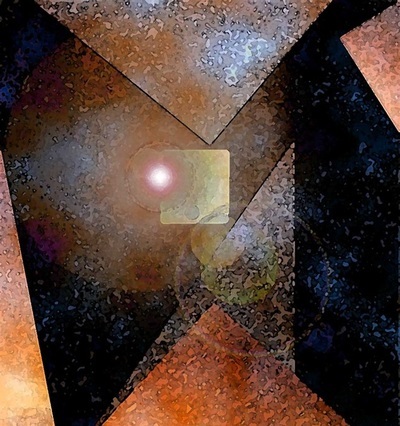 "As artist, designer and now jurist, has allowed me the opportunity apply my years of professional experience in creating art and design for numerous private collections and commercial installations. And in addition, 23 years of teaching art at the college level. Whether the new artist is developing an emerging art talent or the artist with years of experience, is emerging into new creativity. I look into the subject matter for the originality of the work and focus its ability to engage and catch my eye with visual impact. Yes, the elements of art with its use of line, color, tone and texture and the principles of design with its composition and contrast do apply, but the level of maturity exercised in the artwork must prevail." 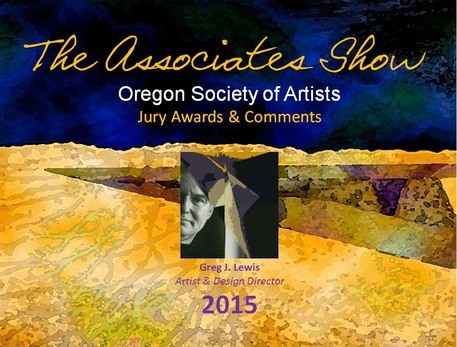 Senior Artist & Design Director, Greg J. Lewis to Judge the SWA Spring Art Show. Join us for this popular, monthly art lecture series. Now in its third year of free, public art talks on a variety of art/artist topics. Created for both artist and non-artists alike. The following art topics and scheduled dates are accessed below. Bring a friend and enjoy the view! All visual images and videos use in AWP presentations are Copyright to their holders and used for educational purposes only. Gustav Klimt (1862-1926) was an Austrian symbolist painter and one of the most prominent members of the Vienna Secession movement. Klimt is internationally noted for his paintings, murals, sketches, and other objects' d'art. Well known for his female and allegorical subject matter, later introduced the use of gold leaf in his paintings. Even today, Klimt's artworks still takes the viewer to a higher level. Avant Garde? Controversial? Forward thinking? Yes!!! Klimt's art was always ahead of his time and still is today. Bring a friend for a morning with Gustav Klimt. 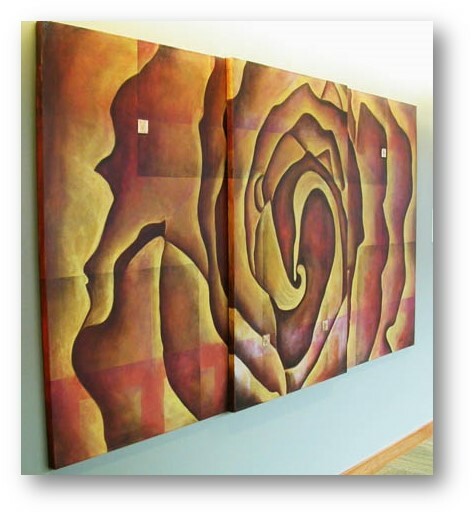 Your art collection can be created for profit, investment, status, or just personal enjoyment. From an art inheritance, to a garage sale find. From an art gallery purchase, to a high-end gallery auction. Your collection is built one piece at a time. Bring a friend, as I hope to see you there! ﻿﻿﻿To express your interest in the Art Without Passports Lecture Series, or any of the art workshops and lecture topics, I am happy to accept your response. Phone Greg Lewis at 503-348-5176 or by email: greg@greglewisstudios.net. When artists present their works for public exhibit, both the trained and untrained viewer sees and forms an opinion. Three forms of art criticism will be introduced, along with a presentation of known artworks to critique. We’ll present the critique styles of the late Sister Wendy Beckett, art historian for the BBC series: The Story of Painting. And the late Robert Hughes, controversial and opinionated art critic and historian for TIME magazine. Together, we will explore beyond the elements of art and the principles of design to formulate our own critique vocabulary. OSA is pleased to announce Ruth Armitage as our Spring Show Juror. 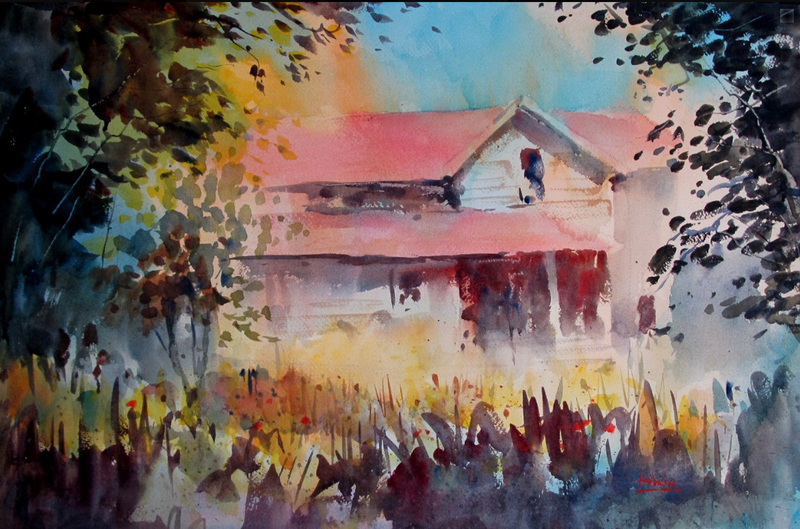 Ruth is a Signature member of many prestigious National Watercolor Societies, including NWS, RMNW, SDWS, NWWS, WFWS, CWA and WW. 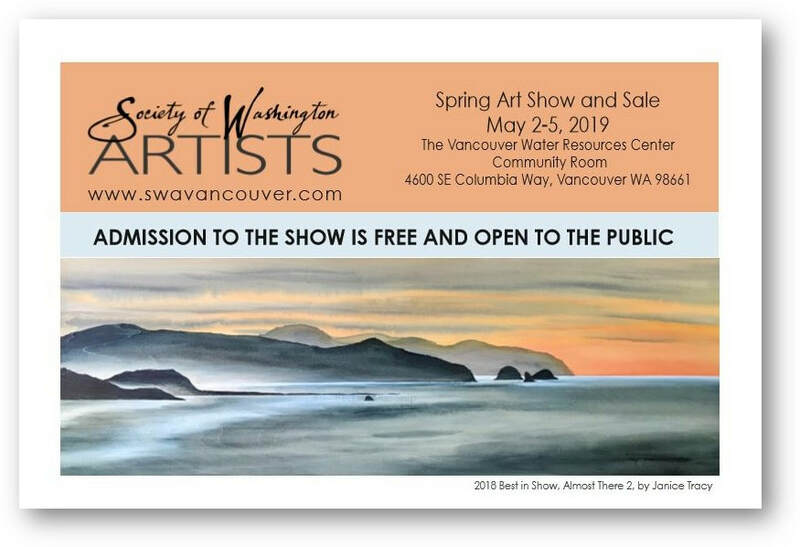 She is a Past President of the Watercolor Society of Oregon (WSO) and a recipient of their Outstanding Service Award. She was a popular instructor at OSA for several years. 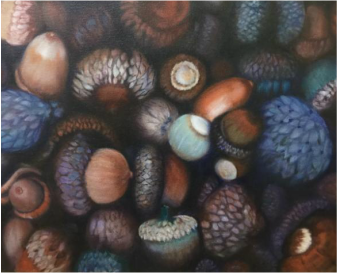 Last Fall, Ruth was the Juror for the 2018 ISEA (International Society of Experimental Artists) Member Show held in Oregon. 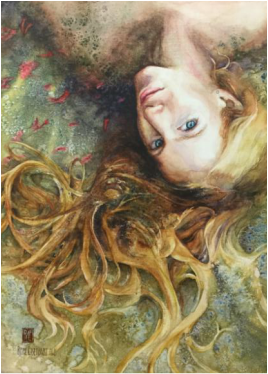 Most recently she earned a top award in the 95th National Watercolor Society Annual Exhibition, and was included in the 149th Annual American Watercolor Society Exhibition in New York. Visit the Gallery Page of the OSA website for the most current information. All visual images and videos use in this presentation are Copyright to their holders and used for educational purposes only. 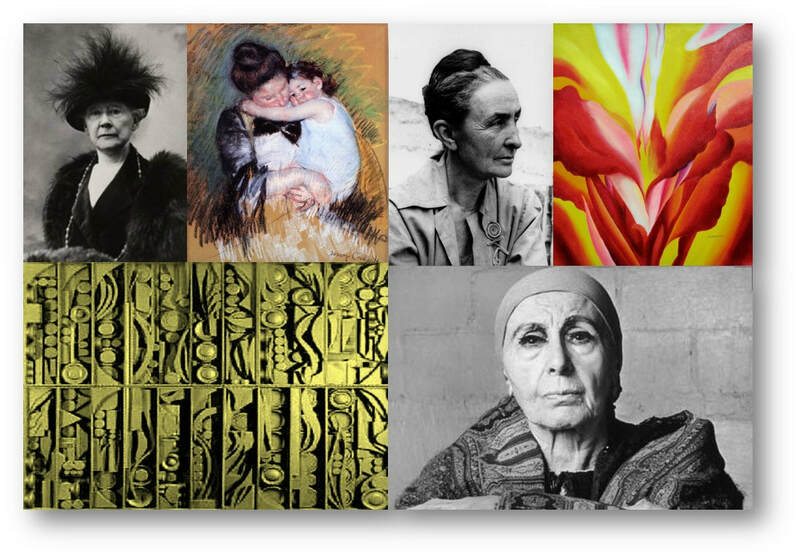 The artistic works of these three women helped to change the course of Western art and left a lasting legacy of creativity. They inspired countless artists to create in new directions. American artist, Mary Cassatt found her artistic voice in a male-dominated art society at the turn of the 19th century, only to flourish in Europe and beyond. Georgia O'Keeffe used her artistic ability to see beauty in colors, forms and textures to illuminate both urban and desert landscapes, as well as inner objects of nature. And artist/sculptor, Louise Nevelson, who brought her glorious assembly sculptures onto the world stage. ​Mature in her art and design process, Louise Nevelson had always moved forward and never looked back. practice. 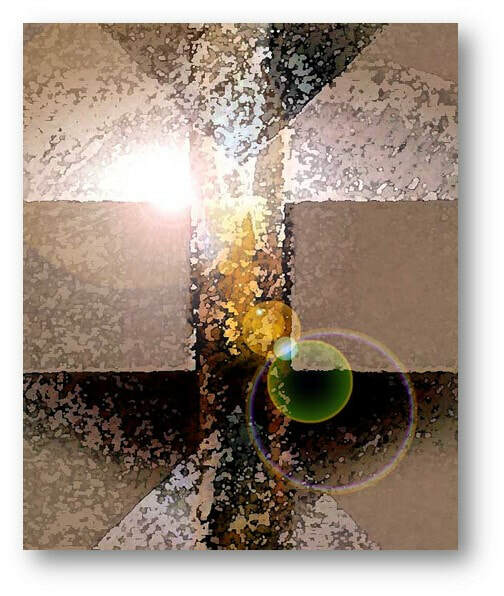 He creates contemporary art and decor for clients in architecture, interior design, publishing, art collections, art restoration, liturgical and healing environments. As a retired Art Professor and member of Oregon Society of Artists, Greg heads up its exhibit installation team and offers monthly art appreciation lectures, which are free and open to artists and non-artists alike. 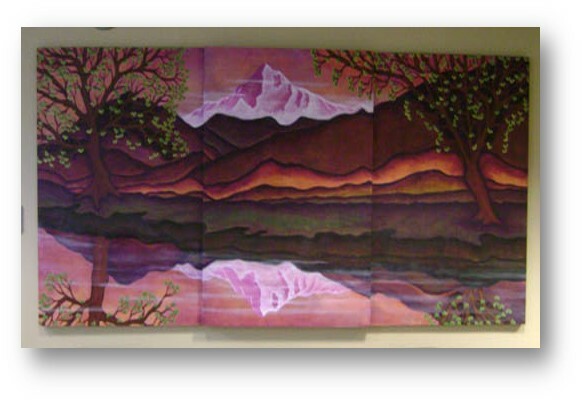 Join us for an overview of five of his art projects in wood, metal, stained glass, collage prints and art on canvas. In this episode of Art Without Passports, we'll explore the shocking and most intriguing look at the art world's dark side. 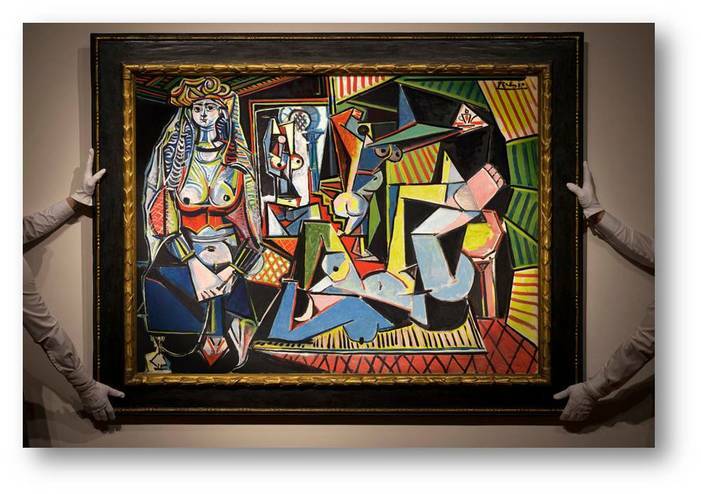 Often unnoticed by the general public, forgery, theft and the destruction of art is on a world-wide scale. From the unscrupulous markets for fake and even stolen Nazi art, to the destruction of cultural antiquities. Scientific and judicial efforts to seek out crimes, reparation of heritage art and artifacts is on-going. Bring a friend and join us for a visual journey to "Art's Dark Side". This popular Art Without Passports Series, now in its third year, is for artists and non-artists alike. All source images and videos are Copyright to their holder are used strictly for educational use only. No. 22 - Art From the Non-Art Major: "A Surprize Inside"
While enrolled in my university art courses over the years, an often heard a common refrain from my non-art major students (enrolled in required art courses) was, "Professor, I can't draw and I can't paint." But after 7 weeks of a fifteen week art course, I found that almost all were starting to "fly" with sparks of talent. Once the basic art skills were introduced and assignment ideas were developed, the students expressed an astonishing array of artworks. Drawing, painting, mixed media artworks will be presented. Join us for an evening with the art from the non-art major. See you there and do bring a friend. 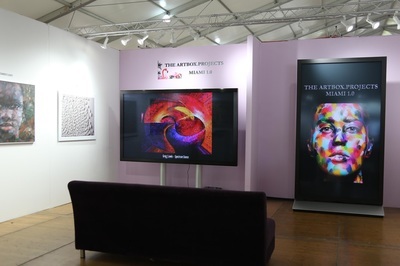 All art images and videos seen in the AWP presentations, are Copyright to their holders and used for educational purposes only. 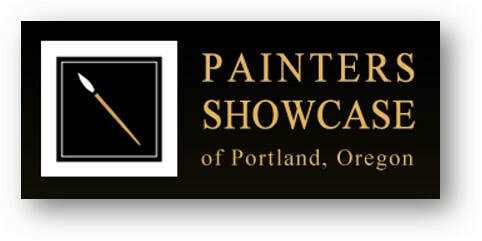 OSA welcomes fifteen artists from IdeAL-PDX in this 4th annual exhibit. IdeAL - PDX is a collaboration among Latino Artists of the Northwest who come together to participate with different local organizations such as Oregon Society of Artists to show their work and the strength of relationships between colleagues. 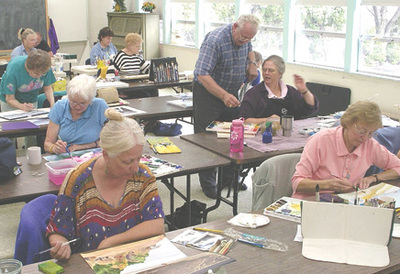 The Portland Art & Learning Studio (PALS) is bringing a selection of their artists' works to Oregon Society of Artists. All PALS' artists experience intellectual and developmental disabilities. 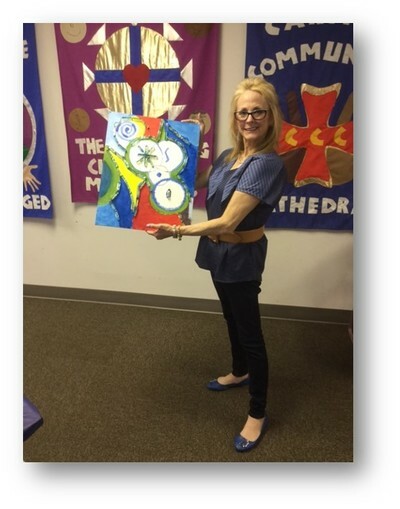 As part of Albertina Kerr's community inclusion program, OSA partners with PALS to help promote and encourage PALS artists' creative practice. 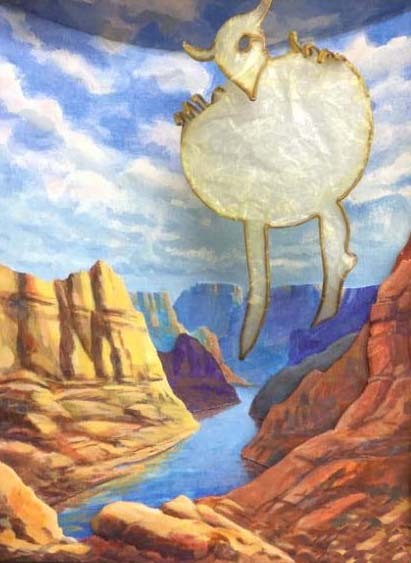 The PALS with OSA pop-up exhibit features 30+ original works of art. Please join us for the opening reception Friday, Feb. 1 from 6-8pm (open to the public). Artists Reception: Sunday, January 13th - 1-3 pm. The popular Art Without Passports Series, now in its third year. French artist, Henri Matisse (1869-1954), was a modern art master of color and form. 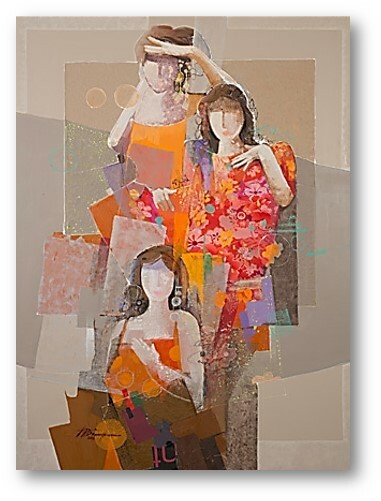 Expanding into a wide range of art mediums as painter, sculptor and printmaker, Henri left his artistic mark on the art world for decades to come. ​Join us for monthly art lecture series. With over 75 on-campus and community events occurring each week at Cedar Sinai Park, you’re sure to find just the right event to flex your intellectual muscles, inspire the creative side or stimulate the body. All visual source images used in this presentation are copyright to their holders and used for educational use only. 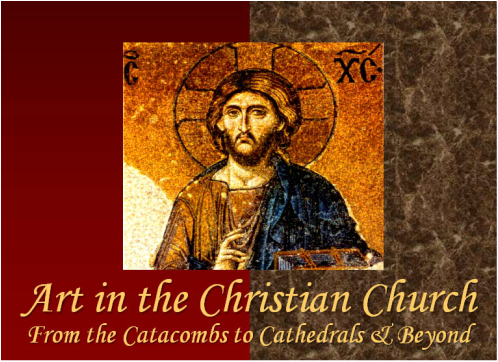 A richly visual journey through 2000 years of art in the Christian church in (5) slide/video presentations. 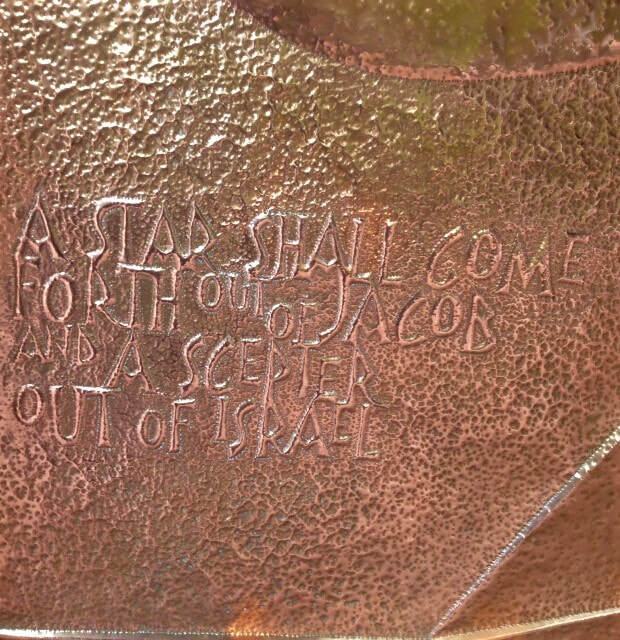 From the origins of our Judeo-Christian heritage, from the catacombs of Rome, to the Gothic cathedrals of Europe and beyond. Together we will trace the great periods of art and architecture that have influenced our Christian worship spaces of today. 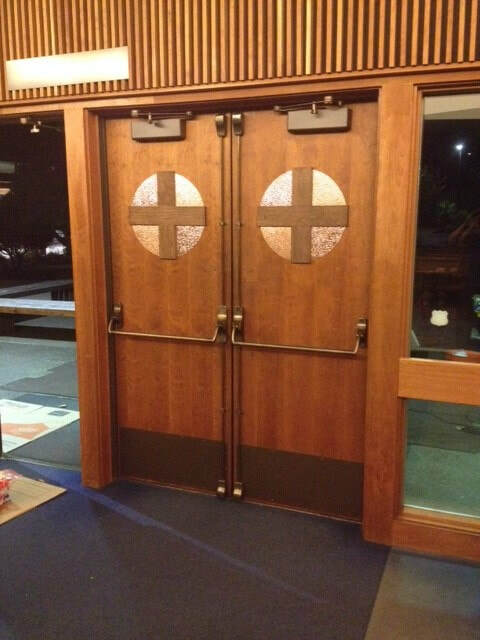 Through the church's signs and symbols, we gain purpose and meaning for our faith and for future generations. For more information and to register for this free ACC Seminar, access the following website link. Greg J. Lewis hosts and presents the Art Without Passports Series now in its third year. All source videos and images are Copyright to their holders and strictly used for educational purposes only. The process of repair, restoration and conservation of artworks to their original state is one of trained skill, patience, practice and a passion for detail. Over time, many artworks if cared for, will last indefinitely. However, the ravages of time, exposure to the elements of moisture, sunlight, temperature and of course mishandling, can exact its toll. The art mediums of paintings, prints, sculpture, ceramics, textiles and photography will be presented and discussed, as we reveal the secrets from repair to conservation. Join us as we look at a different side of the art world. ART WITHOUT PASSPORTS SERIES: Greg J. Lewis, Artist & Design Director of the Greg Lewis Studio practise, is both host and presenter of the popular Art With Passports Series. These once a month, art appreciation talks include a wide range of art topics including famous and not so famous artists, their art projects. The presentations are free and open to the public, on the third Thursday of the month. The following source images are Copyright to their holders and strictly used for educational purposes only. JANUARY: Rembrandt - The Power of Art Best known for his paintings, print making and drawings, Rembrandt Van Rijn (1606-1669), took on the Dutch painting establishment by storm. Producing a vast array of portraits, biblical, allegorical scenes and landscapes, Rembrandt reflected 17th century Dutch art culture like no other artist. Considered by many as one of the most influential artists in the art history of Western civilization. 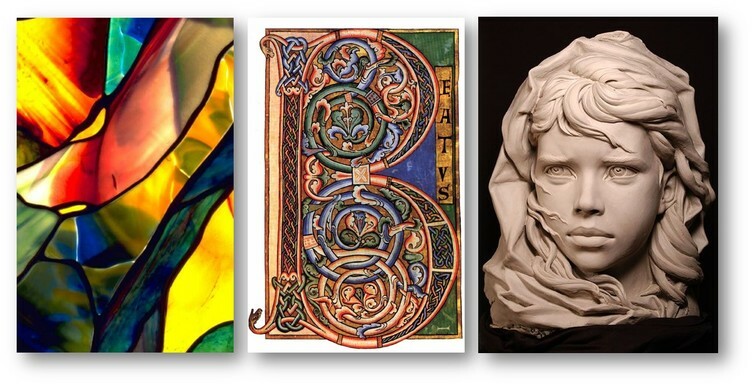 FEBRUARY: Art in Process - Stained Glass, Illuminated Manuscripts & Clay Sculpture Building on centuries of art methods in process, we'll explore the artist's inspiration, skill and determination to create lasting works of art in three mediums. 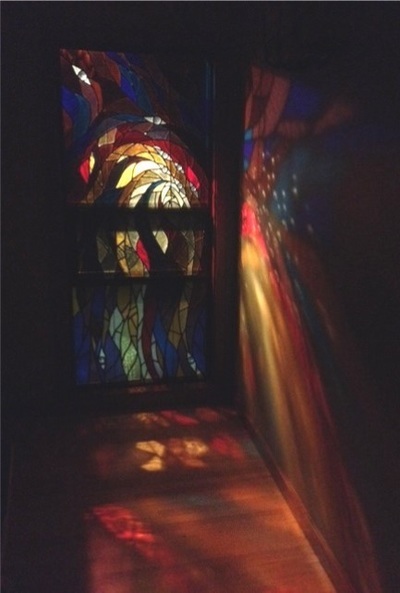 Stained glass with its vast ability to transmit design, light and color. Clay sculpture with its malleable qualities to shape and form dimensional likeness. And the art of illuminated manuscripts. ​Building on the grand architecture of the past, we'll explore the architect's inspiration, skill and determination to create lasting works that shape our urban cities and beyond. 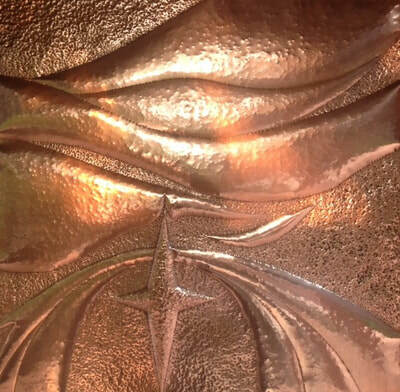 Also highlighted, is the artist who collaborates their talent to create art and decor ​into spaces of beauty. The artistic works of these three women helped to change the course of Western art and left a lasting legacy of creativity. They inspired countless artists to create in new directions. American artist, Mary Cassatt found her artistic voice in a male-dominated art society at the turn of the 19th century, only to flourish in Europe and beyond. Georgia O'Keeffe used her artistic ability to see beauty in colors, forms and textures to illuminate both urban and desert landscapes, as well as inner objects of nature. And artist/sculptor, Louise Nevelson, who brought her glorious assembly sculptures onto the world stage. ​Mature in her art and design process, Louise Nevelson had always moved forward and never looked back. Hand writing is the art medium of human communication. With its use of sign and symbol, calligraphy is the visual art form that's been passed down through global generations. From the earliest forms of illuminated manuscripts, to the use of modern type forms of today, word art holds its power. Join us for an evening of calligraphic expressions. OSA's Art Without Passport Series is in its second season, so bring a friend. The French term En Plein Air, or "in the open air" refers to drawings, paintings, watercolors that are completed on locations, outdoors. 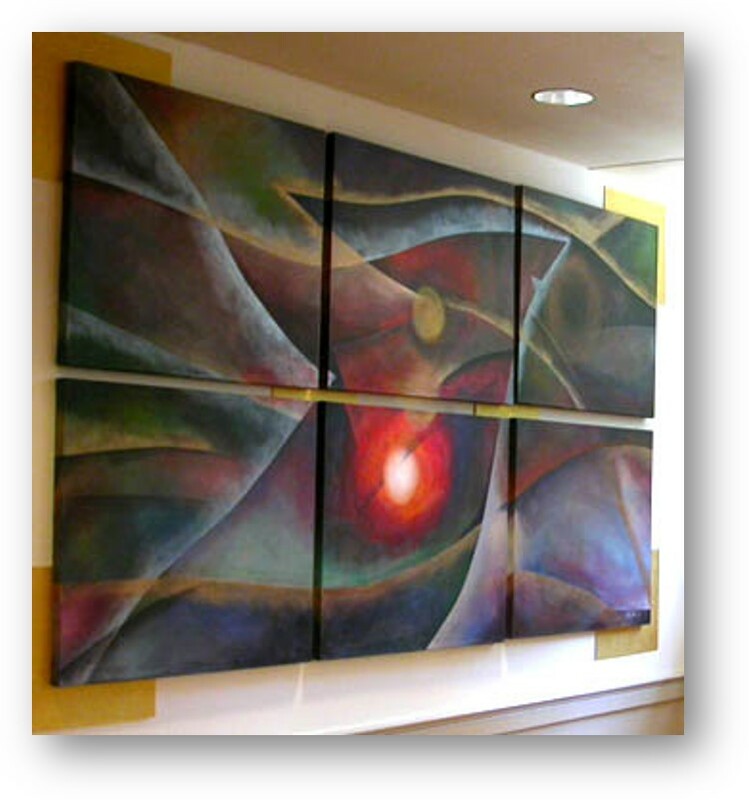 This presentation explores the experience of what the eye sees and the heart and hand expresses. The act of painting outdoors has long allured artists for centuries to heighten the visual senses, producing either a quick study painting, or a finished work of art. 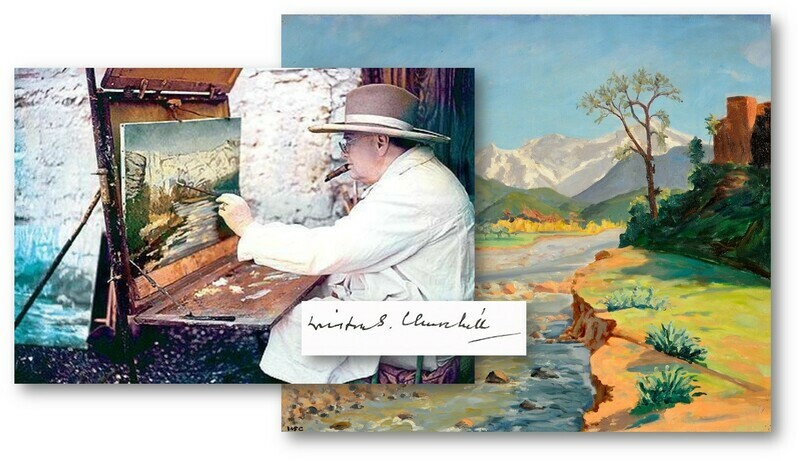 Among the notable plein air artists are Claude Monet, Mary Cassatt, Winslow Homer, Pierre- Auguste Renoir, Vincent Van Gogh, Winston Churchill, just to name a few. This is an evening event to learn of the lifestyle experience of En Plein Art. When artists present their works for public exhibit, both the trained and untrained viewer sees and forms an opinion. Three forms of art criticism will be discussed, along with a presentation of known artworks to critique. We'll introduce the critique styles of the late Robert Hughes, controversial and opinionated art critic and historian and the late Sister Wendy Beckett, art historian for the BBC series: The Story of Painting. Together, we will explore beyond the elements of art and the principles of design to formulate our own critique vocabulary. 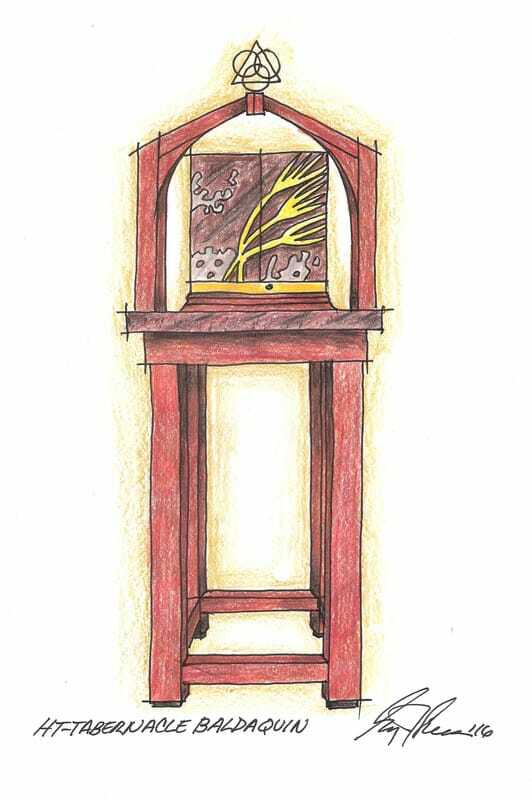 ​OCTOBER: Art in Process Revisited - Stained Glass, Illuminated Manuscripts Building on centuries of art methods in process, we'll explore the artist's inspiration, skill and determination to create lasting works of art in three mediums. 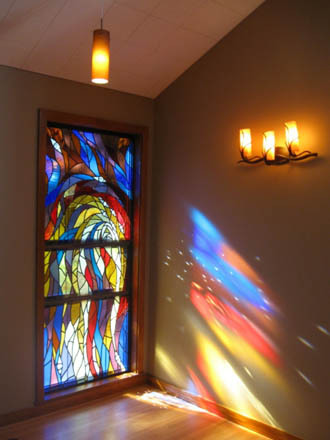 Stained glass with its vast ability to transmit design, light and color. Clay sculpture with its malleable qualities to shape and form dimensional likeness. And the art of illuminated manuscripts. Who was this man of artistic talent, that helped introduced a holistic approach to generations of artists, architects and interior designers? 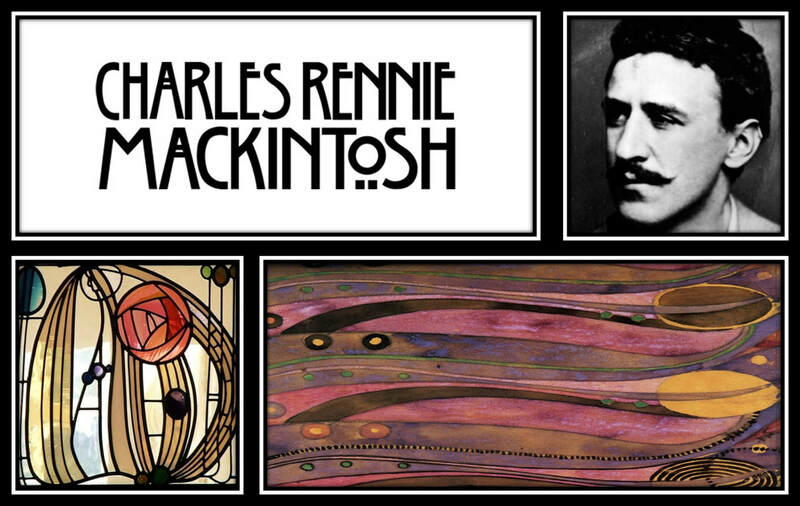 Charles Rennie MacKintosh (1868-1928), set new and innovative standards during the European movements of Art Nouveau and Symbolism. His modern designs in architecture and interior decor, promoted living in total art environments. Bring a friend and join us for this look at the life and work of CRM...where art and architecture become one. DECEMBER: Norman Rockwell Revisited - An American Art Master Best known as America's Illustrator, Norman Rockwell (1894-1978) painted iconic scenes of small-town America. Producing a vast array of paintings for the Saturday Evening Post and later for Look magazine, Norman reflected 20th century American culture like no other artist. We are all benefited by his thought provoking and often humorous subject matter. Both young and old are left with a legacy of art we all can relate to. All source images in this presentation are Copyright to their holders and used for educational purposes only. 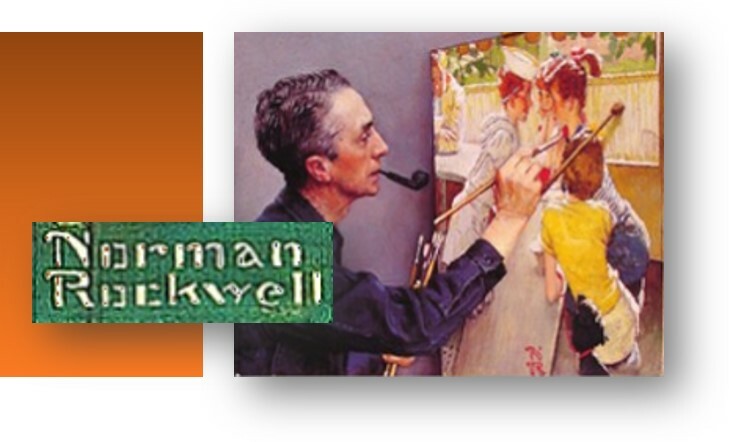 Join us as we revisit an evening presentation of Norman Rockwell, American Art Master. Best known as America's Illustrator, Norman Rockwell (1894-1978) painted iconic scenes of small-town America. Producing a vast array of paintings for the Saturday Evening Post and later for Look magazine, Norman reflected 20th century American culture like no other artist. We are all benefited by his thought provoking and often humorous subject matter. Both young and old are left with a legacy of art we all can relate to. Both artists and non-artists alike are welcomed to attend this OSA art appreciation event. Forty invited artists will be working throughout the day, creating unique monotype prints. 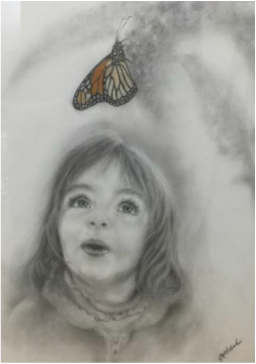 Artwork will be installed in the OSA gallery, culminating in a reception and sale from 6 to 8pm. All prints will be on sale for $200. Half of the proceeds will go to the artists and half will go to benefit OSA. This exhibit is open to all US Military veterans. Artwork must be original and created by a US military veteran. Drawing, painting, fine-art printmaking and photography will be accepted. Veterans may enter up to 3 pieces. We are asking for a $10 donation to offset costs and you may be asked to volunteer to sit the gallery for one afternoon. 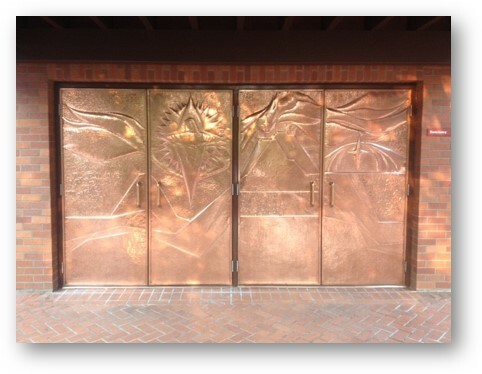 Original bright copper door panels installed, ca. 1984. Aged, darkened patina, ca. 2018. 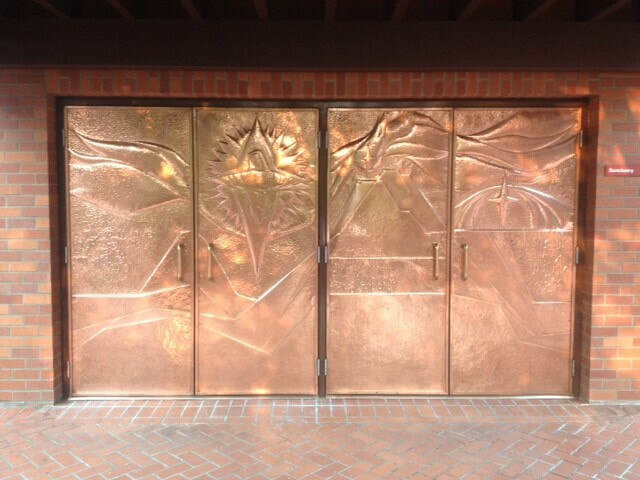 Main entrance copper doors in full, bright restoration. 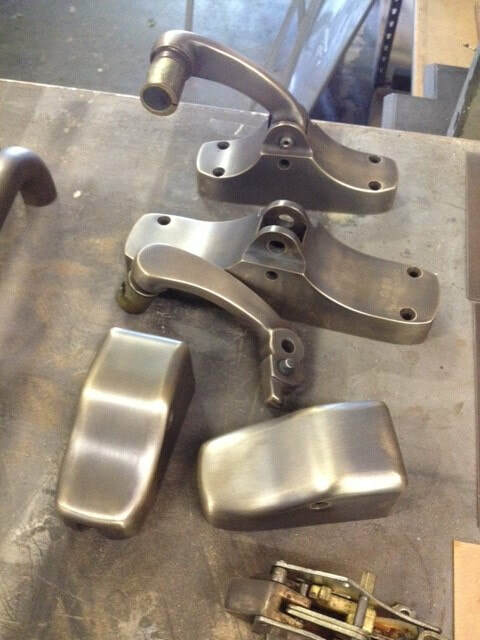 Darkened patina removal and polishing in progress. 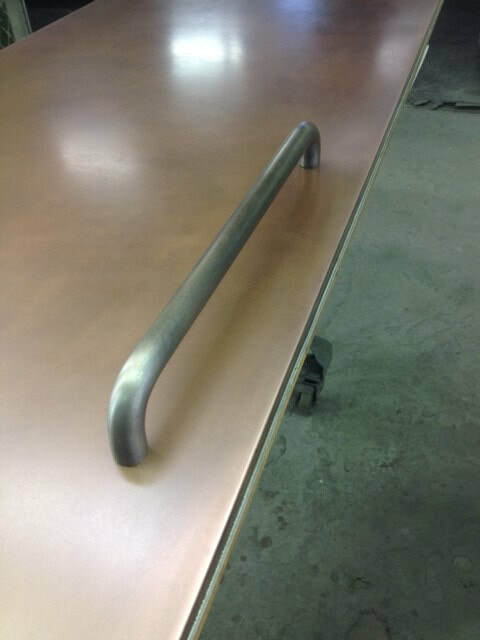 Applied tarnish remover and hand polishing of all copper surfaces. 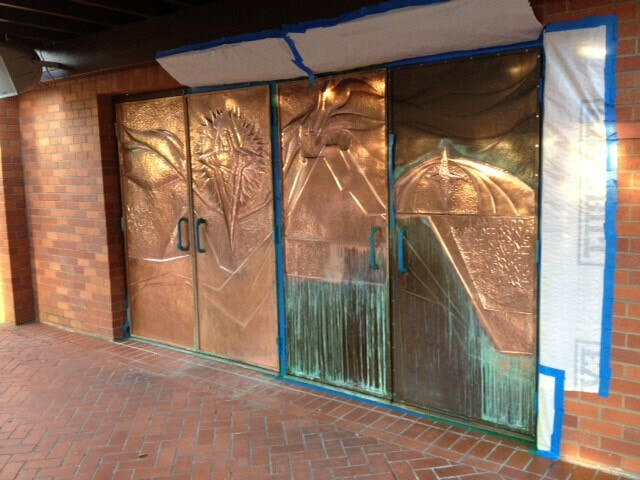 Restored hammered copper door panels with applied seal coat, ca. 2018. Enjoy the following video walk-by, showing size and sense of scale. All photo images for the Greg Lewis Studios are Copyright by the Ernst Schwidder Archives and St. Matthew Lutheran Church ELCA. ﻿﻿To express your interest in a future Art Restoration Project, I am happy to accept your call or email. Phone Greg Lewis at 503-348-5176 or by email: greg@greglewisstudios.net. You can also go to the GLS Contact Page of this GLS Website. 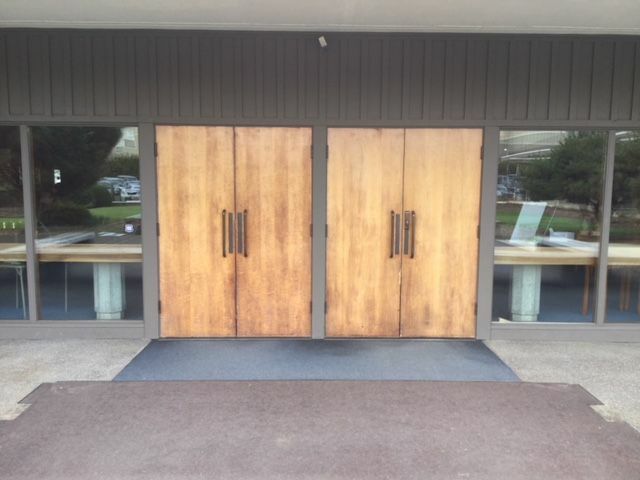 Unfinished main entrance church doors. 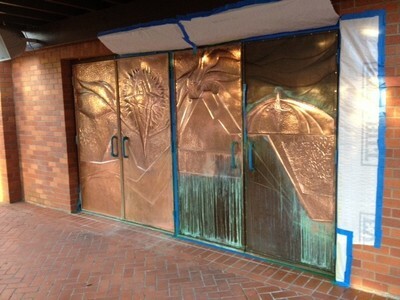 Proposed burnished copper clad doors and medallion. 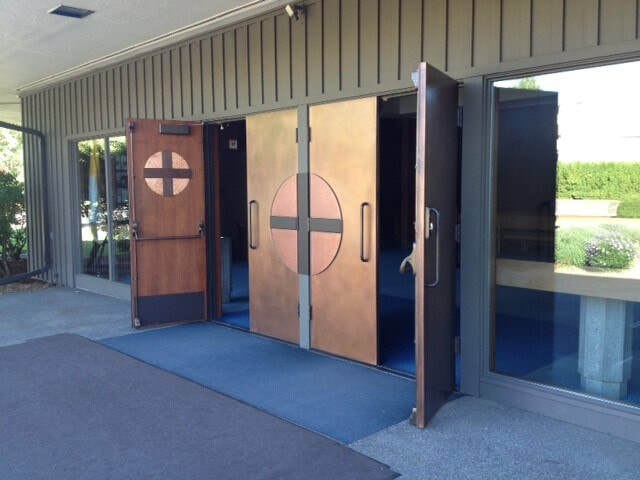 Installed burnished copper doors, main cross medallion, bronzed hardware and interior copper door medallions. 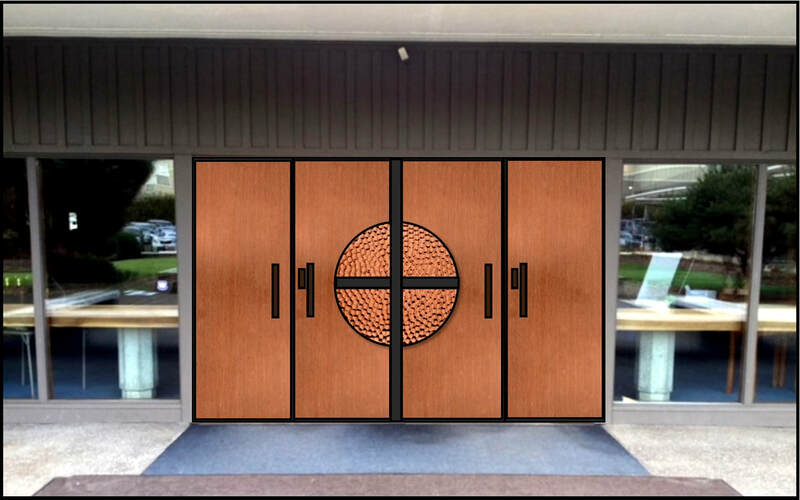 Proposed bronzed hardware, signage and interior copper door medallions. 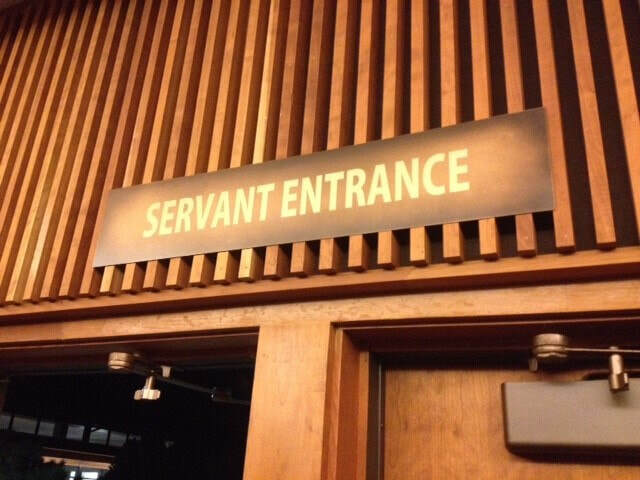 Installed patina bronzed hardware, copper signage and interior door medallions. Installed bronzed hardware, signage and interior door medallions. 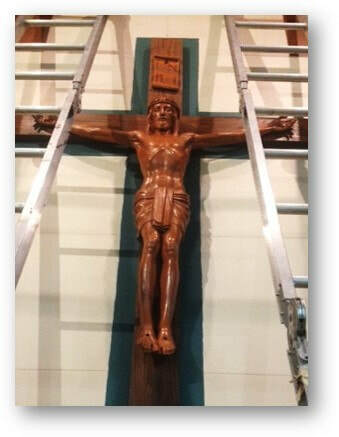 The Portland church named after the cross just had its 68-year-old crucifix restored. 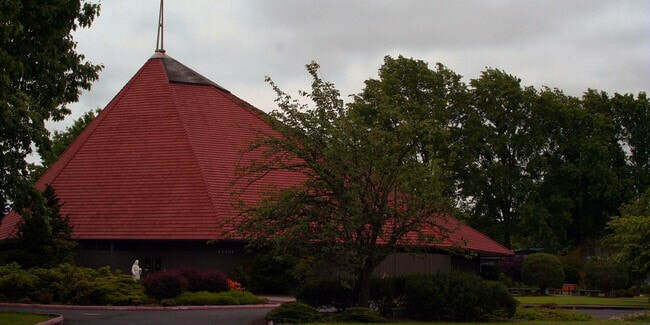 “There were some blemishes showing up,” said Father Mark Bachmeier, pastor of Holy Cross Parish in North Portland. 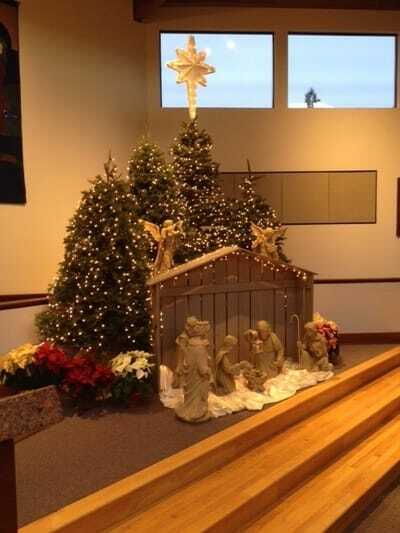 He points at the church’s simple but elegant wooden crucifix, a little smaller than life size. It hangs in the sanctuary. “The wood just seemed kind of compromised,” the priest said. “We were afraid there was some fungus moving in.” It was time to call an expert. 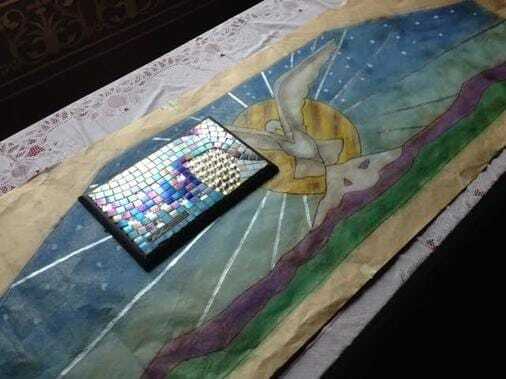 In came Greg Lewis, an artist who designs liturgical art and does restoration on the side. Lewis discovered that the markings were not rot, but aging paint that had been used to cover up knots in the wood. On the figure’s toes, calves and chest, artists in the days of yore had used beige paint to hide the dark blemishes. 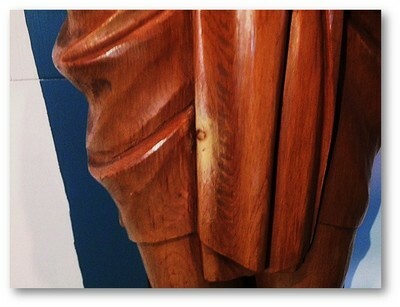 Over time, the paint lightened, leaving spots that did not match the rest of the wood. Lewis solved the problem by using a water-based solvent to remove all the old paint and varnish down to bare wood. 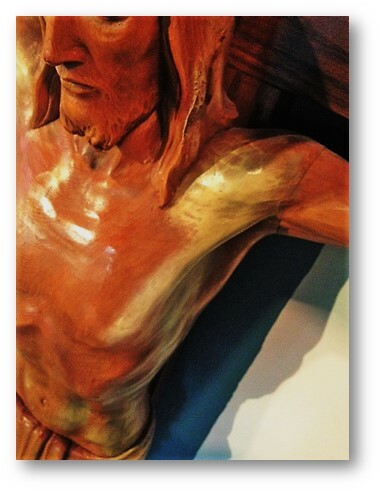 He re-stained the crucifix in a slightly darker hue and applied a clear coat. From a distance, no one can see the knots. 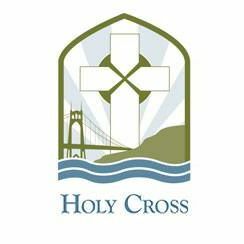 The crucifix was purchased under the leadership of the late Father Thomas Jackson, who was pastor of Holy Cross when the church was built. Father Bachmeier says it is believed that Father Jackson donated his ample poker winnings to help finish construction of the church. 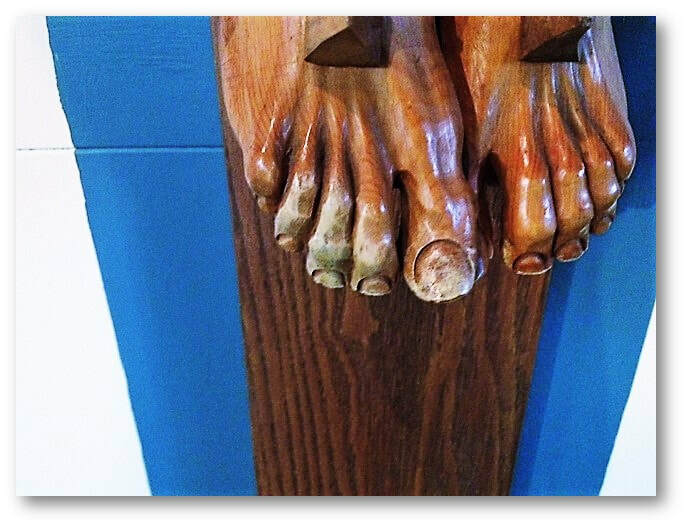 Lewis removed the wooden nails from Christ’s hands and feet during the work and found that they were lovingly hand carved, a clue that the crucifix was made by Italian craftsmen who did such labor. 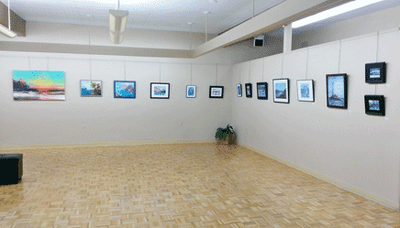 OSA is please to present the juried art works of our artist members. Our guest juror is Mr. Wayne Jiang an acrylic realist painter. Combining the aesthetic of 17th century Baroque paintings and the composition of modern documentary photography, his works have been described as the contemporary interpretations of Van Eyck, Vermeer, and Hopper. His work has been widely exhibited in museums and galleries. Wayne specializes in teaching acrylic. 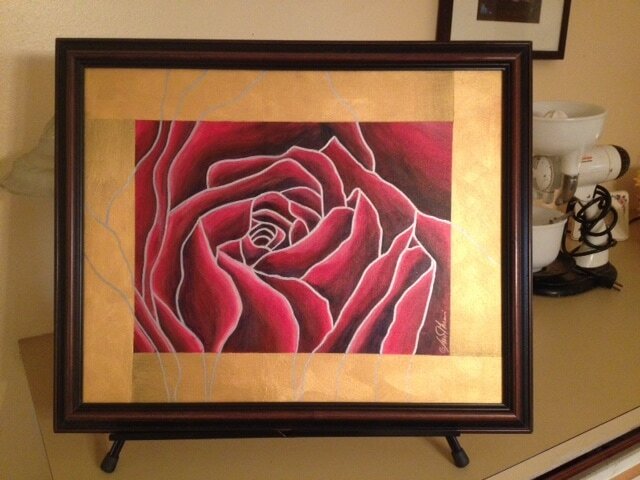 He has 25 years experience working with acrylic and over 10 years teaching with the medium. 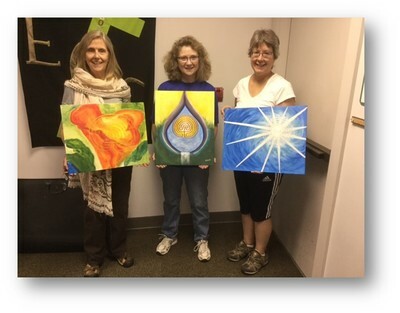 OSA's public outreach continues for artists and non-artists alike. The following is my schedule of AWP presentations from November through December 2018. ﻿﻿To express your interest in a future Artist/Art Lecture Series project, I am happy to accept your call or email. When artists present their works for public exhibit, both the trained and untrained viewer sees and forms an opinion. Three forms of art criticism will be discussed, along with a presentation of known artworks to critique. We'll introduce the critique styles of the late Robert Hughes, controversial and opinionated art critic and historian and Sister Wendy Beckett, art historian for the BBC series: The Story of Painting. Together, we will explore beyond the elements of art and the principles of design to formulate our own critique vocabulary. All photos and video images in this presentation are Copyright to their holders and used for educational purposes only. All photo images and videos are Copyright to their holders and are used for educational purposes only. Gustav Klimt (1862-1926) was an Austrian symbolist painter and one of the most prominent members of the Vienna Secession movement. Klimt is internationally noted for his paintings, murals, sketches, and other objets d'art. 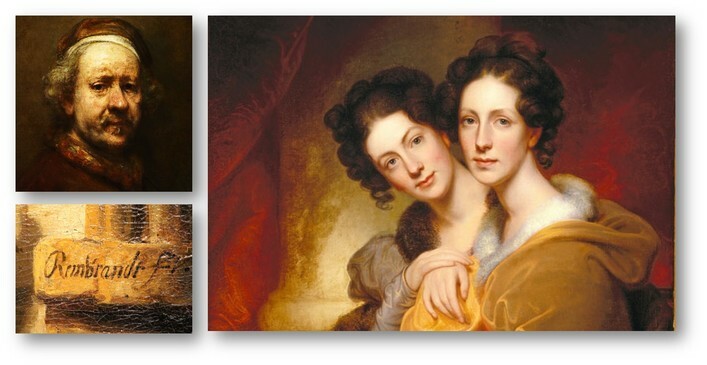 Well known for his female and allegorical subject matter, later introduced the use of gold leaf in his paintings. Even today, Klimt's artworks still takes the viewer to a higher level. Advant Garde? Controversial? Forward thinking? Yes!!! Klimt's art was always ahead of his time and still is today. Bring a friend for an evening with Gustav Klimt. Art Without Passports Series continues in its second season. See you there! By popular request. We return to the life and times of Henri Matisse. ​​Building on the grand architecture of the past, we'll explore the architect's inspiration, skill and determination to create lasting works that shape our urban cities and beyond. Also highlighted, is the artist who collaborates their talent to create art and decor ​into spaces of beauty. This is an art appreciation, public event for artists, architects, students and general interested learners. Join us for an evening of Architecture as Art, for artists and non-artist alike...as all are welcome to attend. Bring a friend! Featuring twenty-eight works by the artist, including large canvases of recent work not previously exhibited. The reception will feature a presentation by Dalia Hussein at 3pm. This former Washington Post War Correspondent will discuss her father’s life and art. I'm pleased to introduce a new friend, and artist colleague: The art and times of OSA member Farooq Hassan. Catch it at 13:40 on OPB's Oregon Art Beat. Copyright 2014 - Examples of Greg's Non-Art Major Drawing Students and are used for educational purposes only. Join us for this second installment. Greg will be presenting a demo sampling of his drawing tricks and techniques gained over four decades of professional art and design practice. 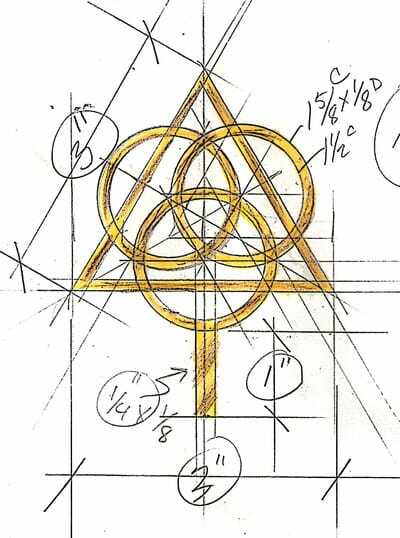 Whether your art concepts are simple or complex, Greg will share basic drawing methods that will help make your art both time saving and fun. Bring your own drawing (tools and supplies, i.e. pencils, charcoal, pastels, eraser, etc. ), as Greg will provide drawing paper. Join us for an evening of Art in Process for artists and non-artist alike. ​as light/dark values, patterns, and movement. Contact the Greg Lewis Studios for details. Yours truly with the "Morning Joy" giclee print. Please join me in this informative presentation of the life and times of Dutch art master, Rembrandt Van Rijn (1606-1669). This is an art appreciation, public event for artists and non-artists alike, as all are welcome to attend. Best known for his paintings, print making and drawings, Rembrandt Van Rijn (1606-1669), took on the Dutch painting establishment by storm. Producing a vast array of portraits, biblical, allegorical scenes and landscapes, Rembrandt reflected 17th century Dutch art culture like no other artist. Considered by many as one of the most influential artists in the art history of Western civilization. Join us for an evening presentation of The Power of Art - Rembrandt. All the best to you and yours this Happy, Holy, Holiday...and into the New Year 2018. 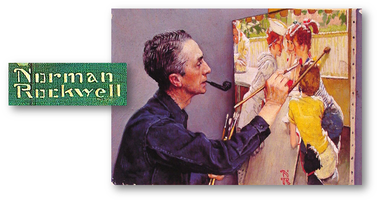 ​Join us for an evening presentation of Norman Rockwell, American Art Master. Best known as America's Illustrator, Norman Rockwell (1894-1978) painted iconic scenes of small-town America. 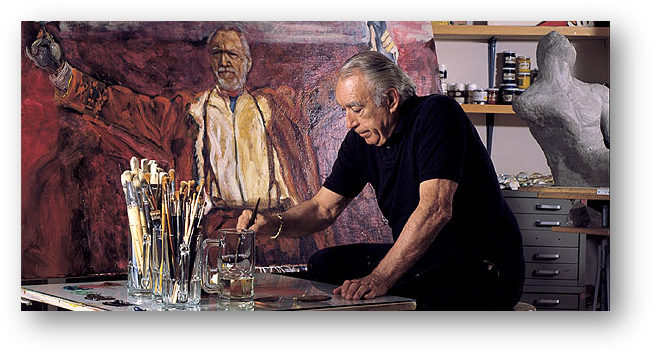 Producing a vast array of paintings for the Saturday Evening Post and later for Look magazine, Norman reflected 20th century American culture like no other artist. We are all benefited by his thought provoking and often humorous subject matter. Both young and old are left with a legacy of art we all can relate to. Both artists and non-artists alike are welcomed to attend the OSA art appreciation event. Hope to see you there! ​T​o express your interest in a future Art Project, I am happy to accept your call or email. Phone Greg Lewis at 503-348-5176 or by email: greg@greglewisstudios.net. You can also go to the GLS Contact Page of this GLS Website. The Greg Lewis Studios in pleased introduce At the Crossroads. 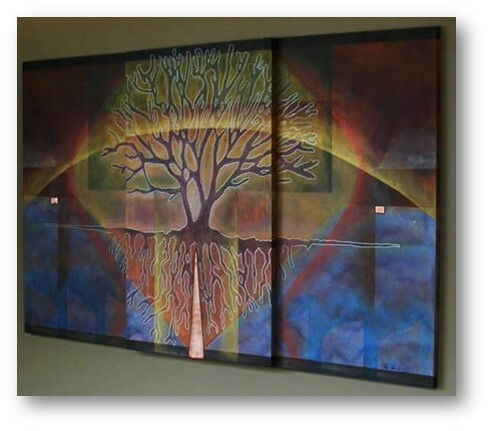 This large, stretched canvas painting measures 48"W X 60"H in acrylic color medium. Now on exhibit at Portland's Oregon Society of Artists through January 4, 2018. 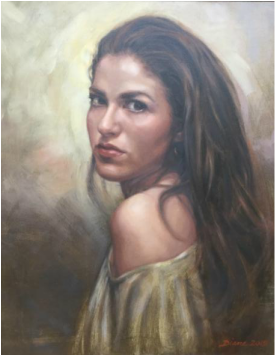 The group show features several master works each of OSA art instructors and facilitators who offer theirs artistic services through classes, workshops and art appreciation lectures. Two titles are expressed : At the Crossroads is the secular title representing a personal journey that often intersects into new directions. The other is the liturgical title is The Cross of Corban, a Hebrew translation of personal sacrifice, to come closer to form a personal relationship, a change of heart...an atonement. 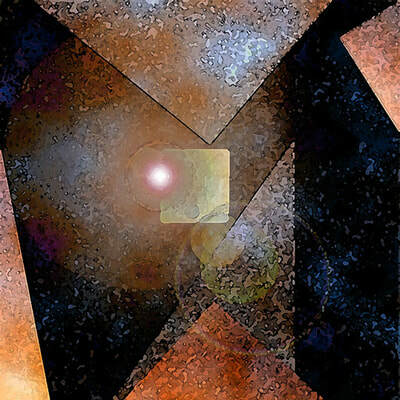 ​To express your interest in Crossroads, or a future art commission, edition prints, I am happy to accept your call or email. Phone Greg Lewis at 503-348-5176 or by email: greg@greglewisstudios.net. You can also go to the GLS Contact Page of this GLS Website. For over 75 years the mural adorned the St. Paul’s Evangelical and Reformed Church on NE 8th and Failing in Portland, which was founded in 1904 by Volga German immigrants from Russia. 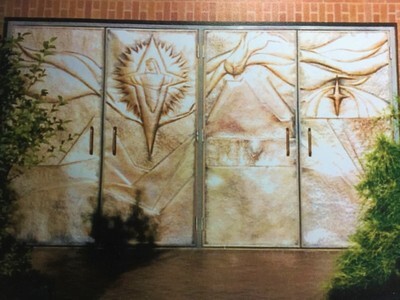 The mural remained as a centerpiece of the sanctuary when it was sold to the Gethsemane Church of God in Christ in 1973. 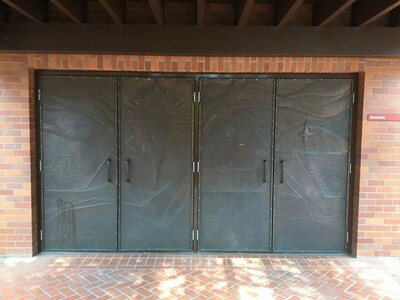 In 2015, the property was sold and the mural was generously donated to the Center for Volga German Studies by the developer. 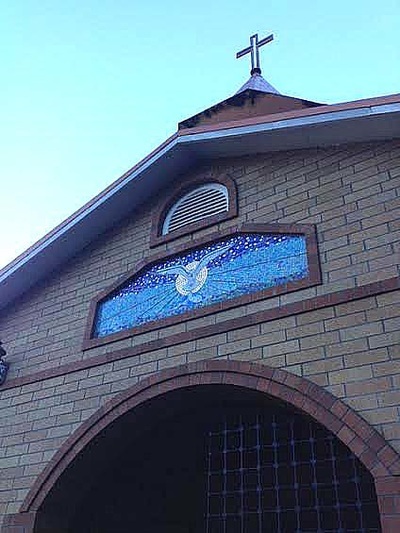 The church building laid dormant for quite some time, with the art mural glued to the sanctuary wall and in sad shape. With tender loving care, the precious work of art was carefully removed and stored for over two years. 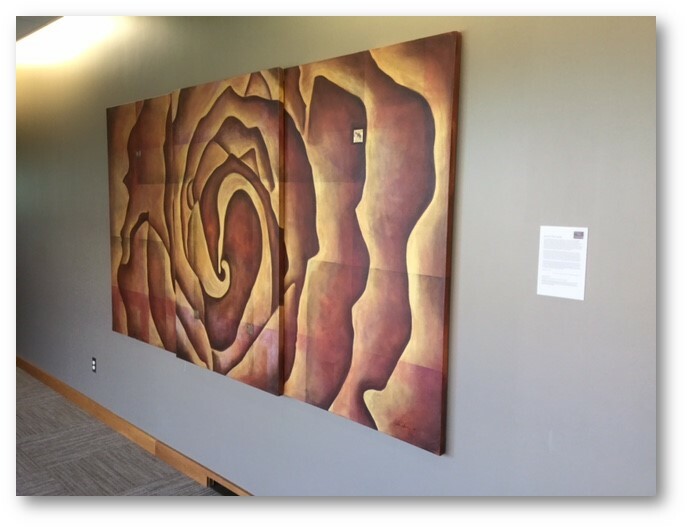 Private funding allowed the mural to be restored, preserved and showcased in the Concordia University Library. Thanks to everyone who contributed toward the restoration of this wonderful piece of Portland’s Volga German history! 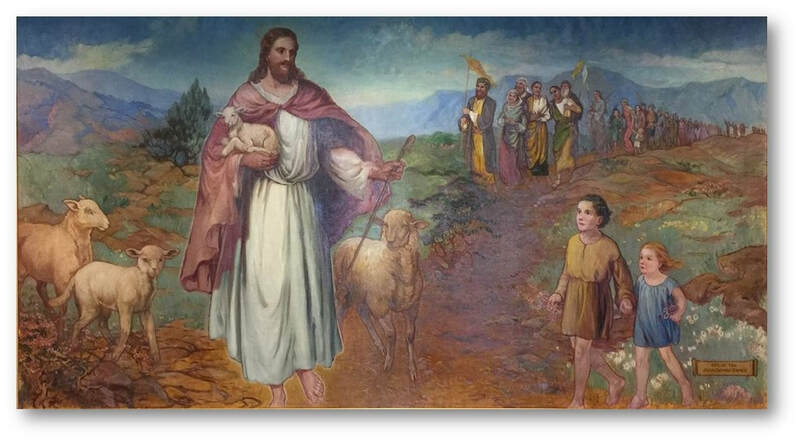 To read more about historic art mural, its artist and its story, please access the pdf files below. To locate the Concordia University Library - Portland, access the map below. It’s a small room with a big meaning. 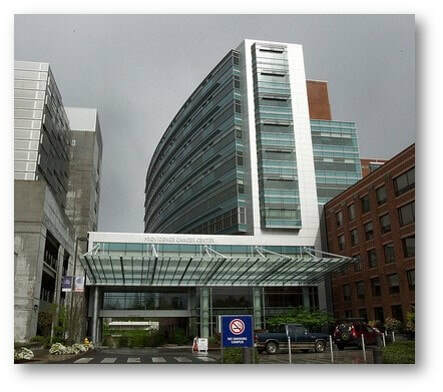 On the eighth floor of the new Providence Cancer Center in Portland, the 8-by-9-foot space is set amid hustle and technology. The Peace Room, as it is called, embodies the notion that silence and quiet are also a part of healing. “It’s a refuge in the midst of all the chaos,” says Marti Leven, a Providence chaplain and a member of St. Ignatius Parish. She helped spark the idea for sacred space in Providence’s new $204 million, 11-story tower devoted to treating cancer from all angles. Anyone can step into the room for a quiet moment amid comfortable chairs, serene colors and art that relates the profound lessons of nature. It’s meant for patients, families and staff. Nurses and housekeepers were the ones who asked for the space and they discussed and voted on themes and artwork. “We use it all the time,” says Teri Mulkey, a registered nurse who works on the eighth floor, which serves stroke victims and those recovering from spine surgery and other neurological procedures. “It’s a nice place to go to reflect,” Mulkey says. 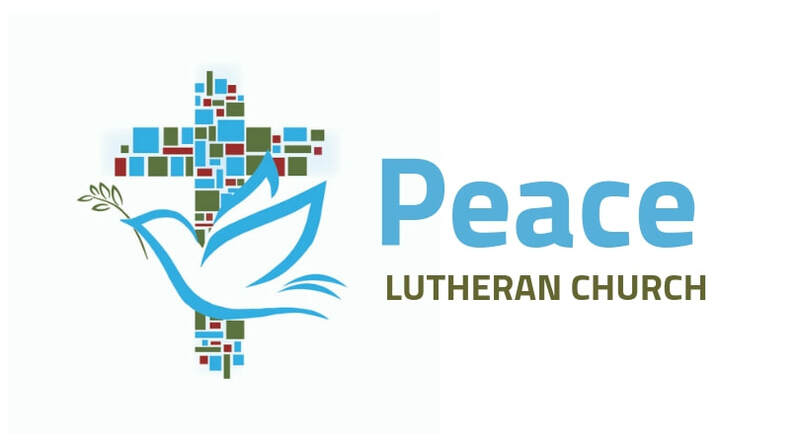 “While we’re out here working, we can take a couple of minutes to refocus.” The Peace Room was funded mostly by the Employee Giving Campaign, with additional contributions from employee families and friends. Providence has long aimed to link spirituality and healing, based on studies showing benefits. Leven says the Peace Room may be a ground-breaker that leads to more small, reflective spaces around the hospital. 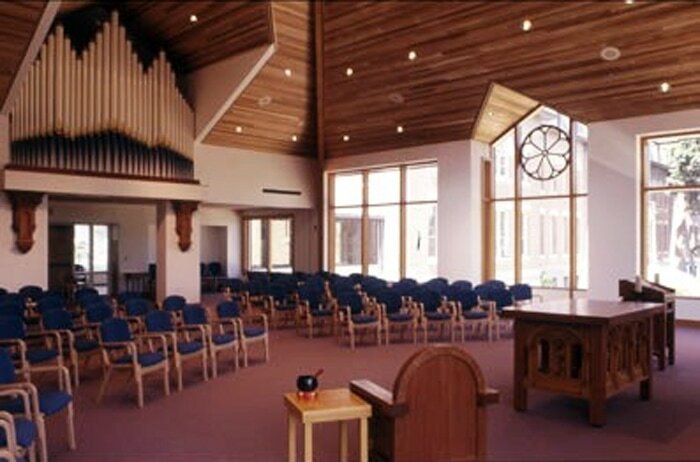 In the main building, there is a large chapel on the ground floor and a meditation space on the fifth floor. Several outdoor spaces are meant for prayer and quiet. In the new Peace Room, a large painting shows a wintry tree, silver and leafless, set on a colorful horizon full of promise. It is the tree of life, cycling its way through the seasons. The other wall holds four small colorful paintings, each with a simple image depicting a season. Before he set to work, Portland artist Greg Lewis met with the planning team to capture its vision. ​​​Join us for an evening with Henri Matisse. French artist, Henri Matisse (1869-1954), was a modern art master of color and form. Expanding into a wide range of art mediums as painter, sculptor and print maker, Henri left his artistic mark on the art world for decades to come. ​All are welcome to attend with free admission, as well as free parking. In response to the 500th Anniversary of the Protestant Reformation, Greg remembers his bronze commission in 2012 by Dr Dwaine Brandt, Professor Emeritus of History, Concordia University-Portland. 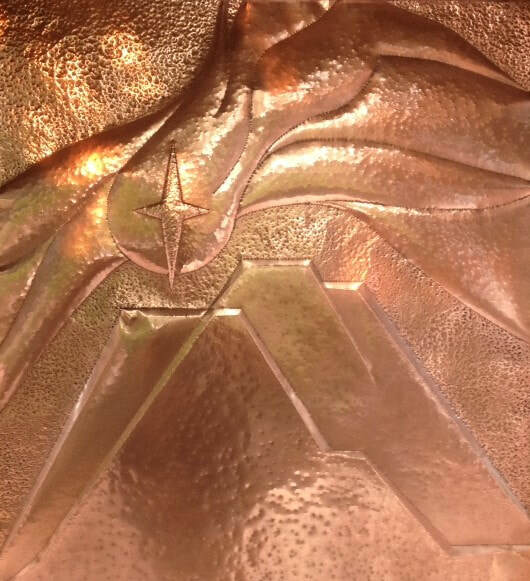 The process of creating a bronze symbol of one the most influential individuals whom helped to change the course of Western Civilization, was both a joy and a challenge. From original concepts, modeling, casting, finishing and final installation. Greg credits the many skilled talents that have ​helped to bring this important​ educational symbol into reality. 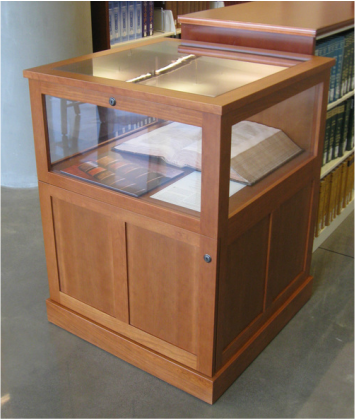 The Luther Bronze resides along with custom display cabinets for an edition of the first English Dictionary and a remnant of the Berlin Wall now on permanent display in the library of Concordia University-Portland, Oregon. All projects are by the Greg Lewis Studios. ​but whatever I have placed in God's hands, that I still possess." 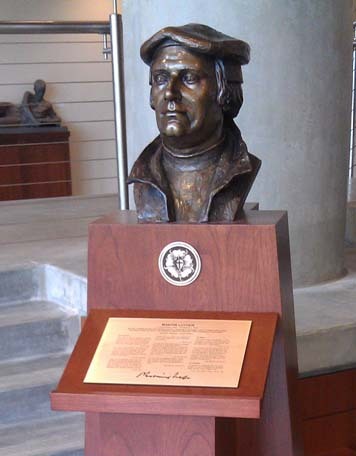 To view the Luther Bronze and other historical memorabilia, visit Concordia University's George R. White Library & Learning Center. 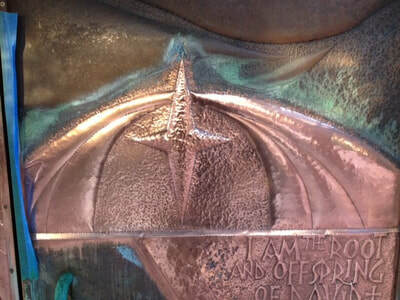 To express your interest in a future Art Sculpture Project, or the Luther: A Study in Bronze presentation, I am happy to accept your call or email. Phone Greg Lewis at 503-348-5176 or by email: greg@greglewisstudios.net. You can also go to the GLS Contact Page of this GLS Website. Join Greg J. Lewis. 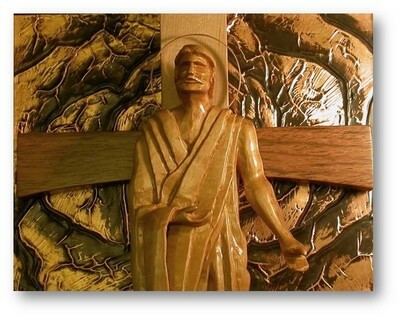 Liturgical Artist & Design Director, as we journey through 2000 years of Art in the Christian Church. 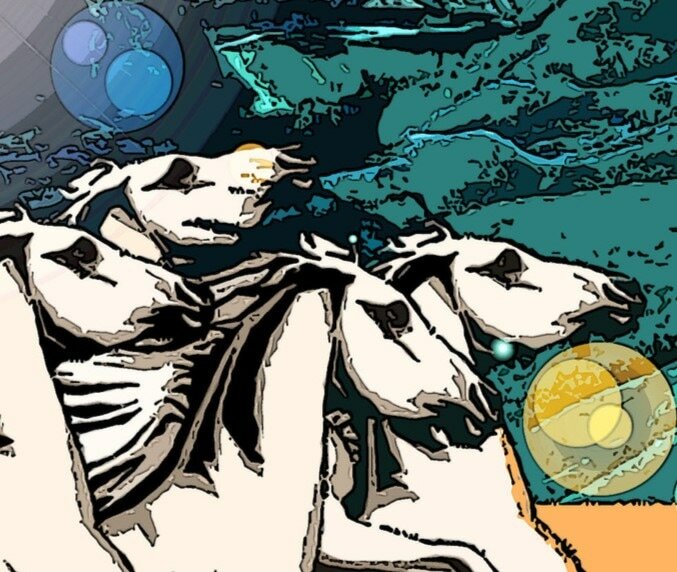 From Genesis to the catacombs of Rome. to the Gothic cathedrals of Europe and beyond. Together we will learn and understand God's signs and symbols that still speak to us. Through an ecumenical series of ﻿five (5) richly visual presentations, we will trace the great periods of art and architecture, influencing our Christian worship spaces of today and that have given us purpose and meaning. The Art Without Passports Series presents one of the most romantic and visually appealing cities in the world. Born of water, this island city is home to countless canals and the bridges that cross them. 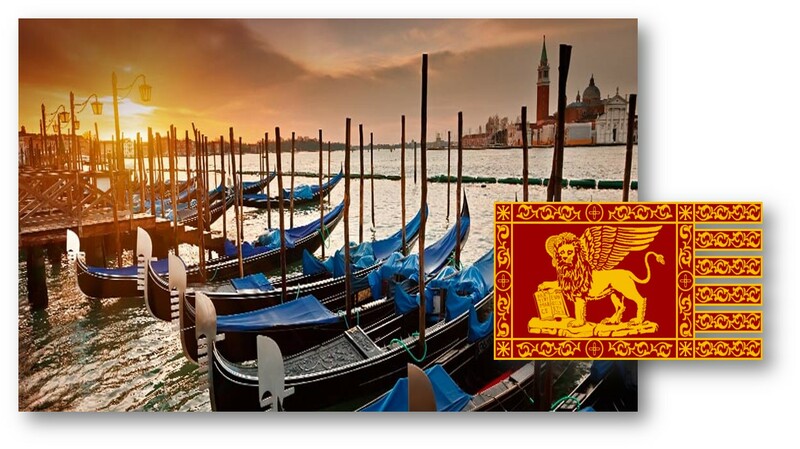 Historical roots run deep in Venice. Signs and symbols of art, architecture and the celebrations of life are everywhere. Artists and non-artists alike are welcome to attend with free admission, as well as free parking. Hope to see you there! pastels, eraser, etc. ), as Greg will provide drawing paper. Greg's demo will be preceded by a short critique session (doors open at 6). 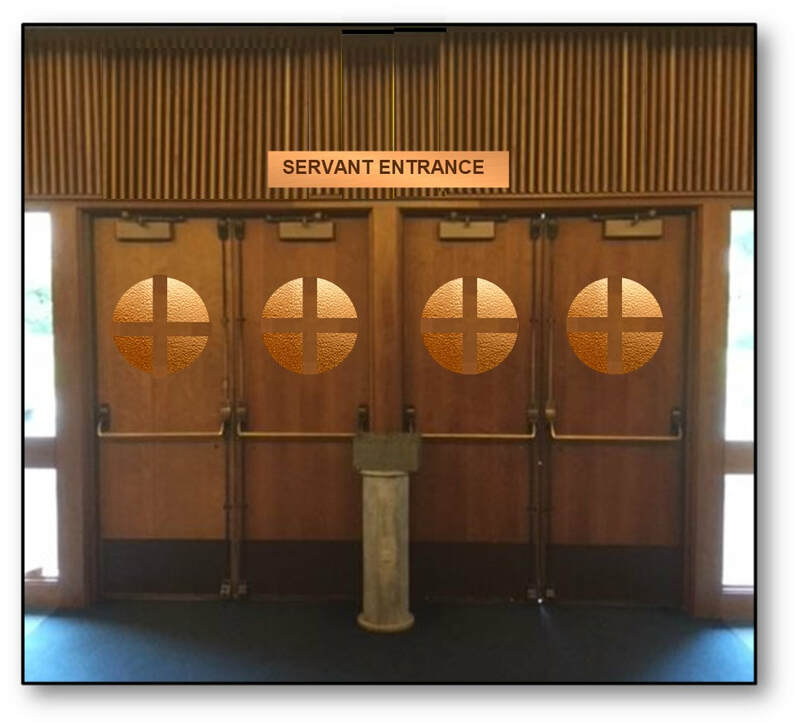 The demo itself starts at 7. It is free and open to the public — no need to be a member for this. All age groups and art experience are encouraged to attend. There will also be some light refreshments. ​city limits of London, England, home of Queen & Country. 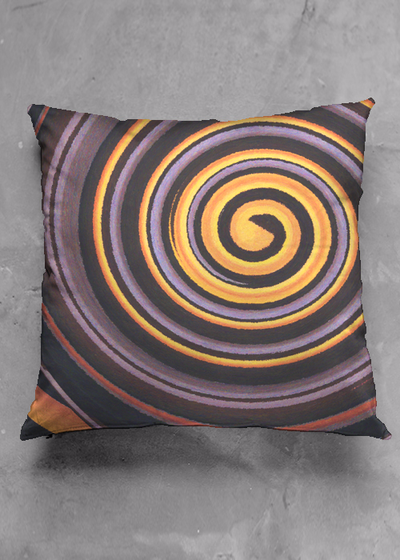 To create art is nothing more than taking an object/subject idea, and turn it into something simple or complex. Along with basic tools, surface materials, art mediums and techniques, the artist expresses that creation. A work of art can have the ability to enrich our lives with purpose and meaning. The historical provenance of the artist and the rarity behind the art are driving forces to its value. Join us for this inside look at high-end auctioned art and why and how this art can be so valuable. Deigned by Portland's Malum Architects AIA and built by Askansa Construction. The facility is one of the most technologically advanced medical centres in the U.S. and was opened in June 2006 to more adequately meet the medical needs of the growing Portland metropolitan area. 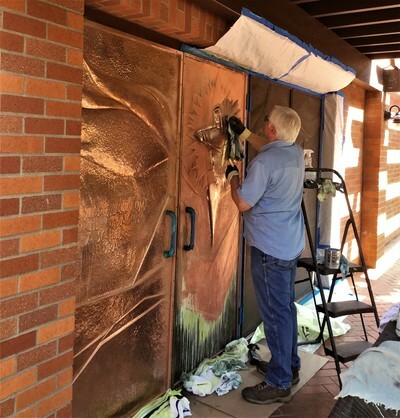 The Greg Lewis Studios was retained to join the PNMC interior design team to design and produce custom chapel furnishings, public space art murals, stained glass restoration, and outdoor signage. The Providence Newberg Medical Center (PNMC) is located in Newberg, Oregon, U.S.A. and is Gold LEED certified and was constructed to replace the outdated Providence Newberg Hospital. ​Join us in this evening presentation, as we celebrate the extraordinary art talent of this internationally famous actor, writer and gifted artist. 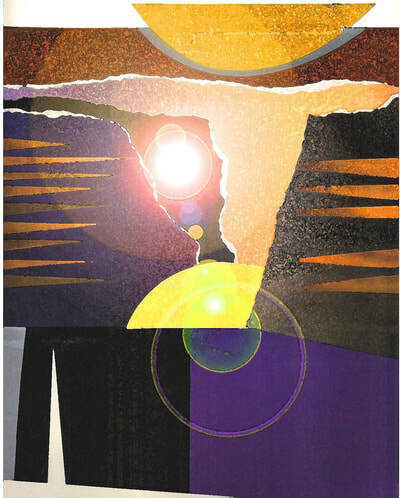 His paintings, prints and sculpture will take us into his creative world, not often widely seen by the general public. A pleasant surprise for all, as we hope to see you there. 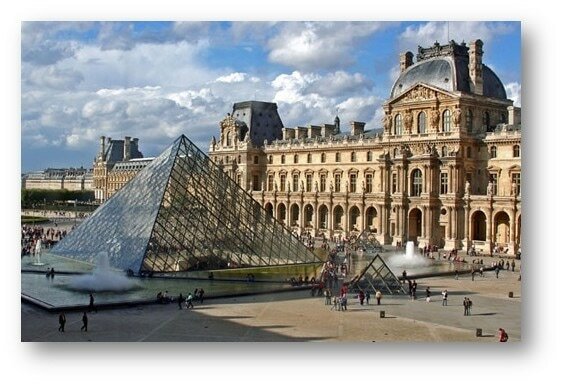 If you've ever wanted to visit Paris' Louvre Art Museum, now here's your chance from the comfort of staying in town. Join us for an evening presentation filled with interesting facts and historical art from one of the world's oldest and largest art venues, located in the City of Lights. Paris, France. We hope to see you there. Greg J. Lewis, Artist & Design Director will help coordinate installation with Portland Photographers' Forum, as well as both OSA member art shows and guest artist exhibitions. Since 1926 the Oregon Society of Artists has been promoting the artistic and professional interests of its members as well as providing visual arts programs to the public. The OSA nurtures and promotes Oregon artists by providing exhibit opportunities, coordinating educational programs and doing various art-related projects for the community. Oregon’s 2nd most admired non-profit in a survey of more than 1,800 CEOs and business leaders by the Portland Business Journal. 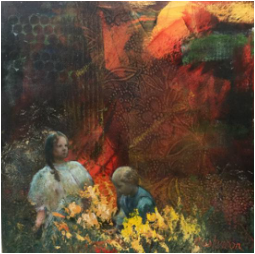 Now featured at the main gallery of OSA - Oregon Society of Artists through April 7th, 2017. 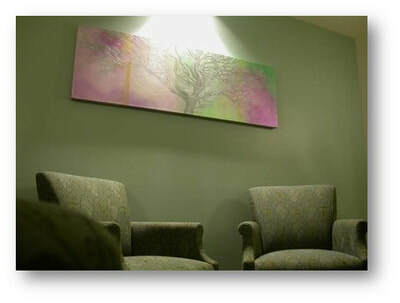 The Infusion Gallery is an artistic program of ALSO - Adult Learning Systems of Oregon, Inc. Located in scenic downtown Troutdale, Oregon, moments from Interstate I-84. Public parking available along the street and in the rear of the building. ​Plan your next art visit to Infusion Gallery - "Artists & Community Making a Difference"
Are you ready to take your art to a new level? Are you interested in placing your art into public and private venues through art commissions? Join us, as Greg will show 2 case studies on his planning and creative process to help bring your art into large space installations. 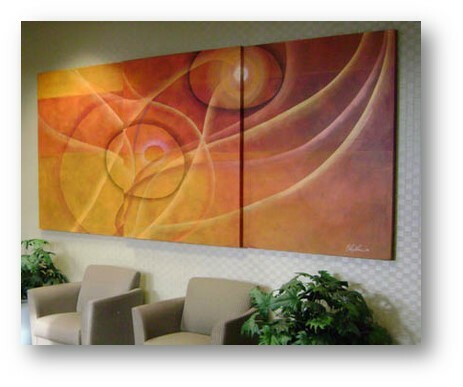 Whether interior or exterior venues that call for large scale work, your final art work can lead to success. Several funding resources are presented for a call for art invitation. 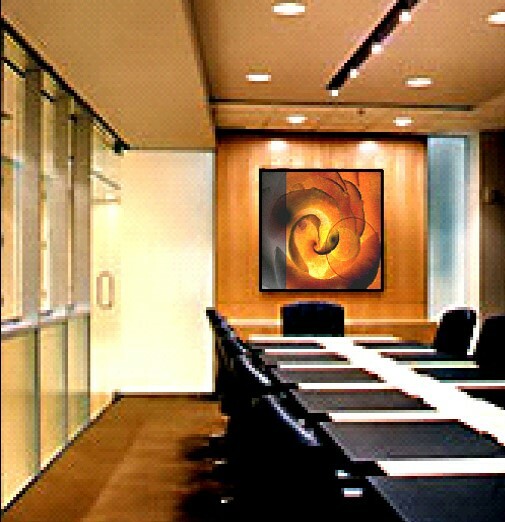 Presentation strategies are discussed and pricing estimates are reviewed. Over and beyond the basic elements of art and the principles of design, Greg provides practical insights and exercises to engage a large audience. 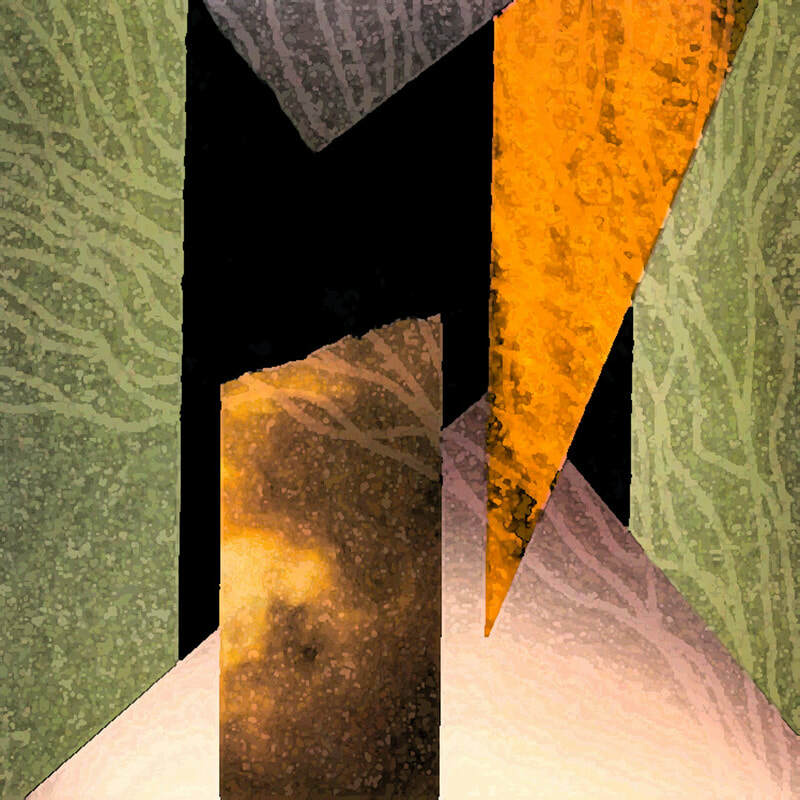 Greg is a mixed media artist and design director. 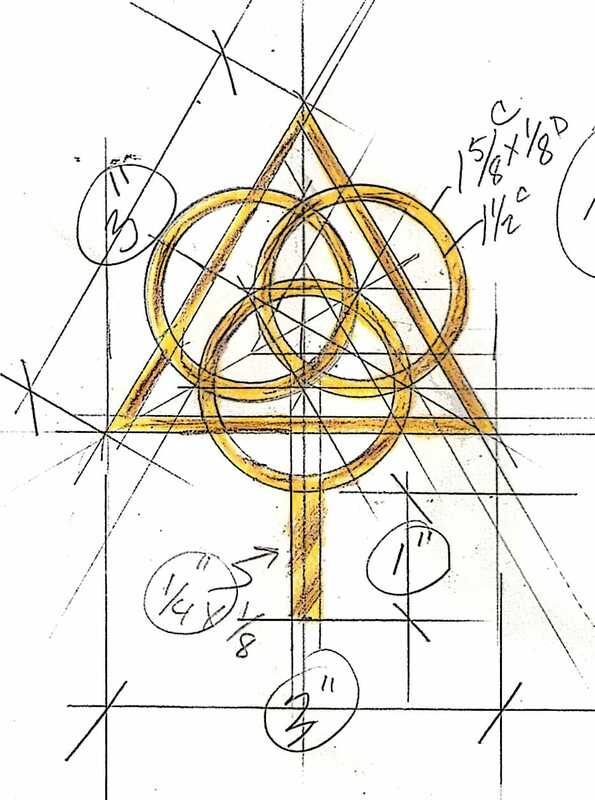 His Greg Lewis Studios practice is celebrating over 40 years of creating contemporary art and decor furnishings for clients in architecture, interior design, publishing, art collections, liturgical and healing environments. In addition to his art and design studio practice, Greg has taught drawing, painting, and watercolor studios at Concordia University for over two decades and was co-founder of its libraries’ art & culture program. 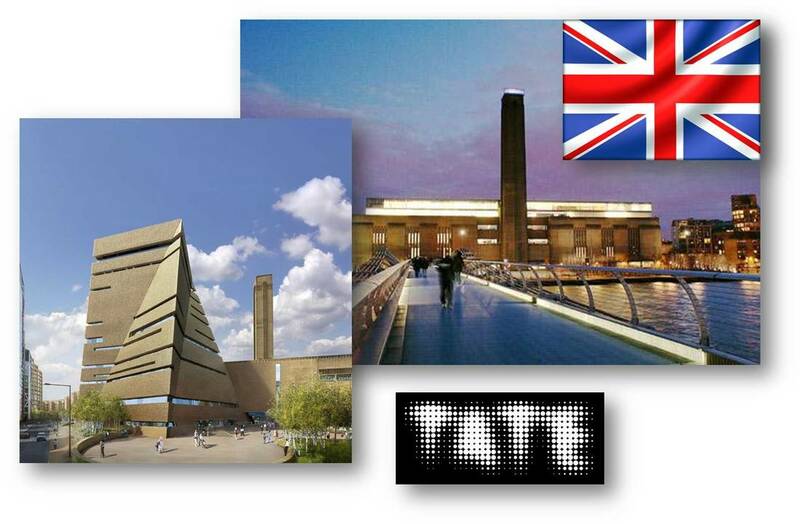 He has led art and architecture tours to both London and Paris for art and culture appreciation. Working closely with his clients, art patrons, and often with artist collaborations in wood, metal and art glass, Greg produces art commissions of timeless ​beauty that touch the human spirit. Greg’s vitae, online portfolio, and art news can be accessed a GregLewisStudios.net. 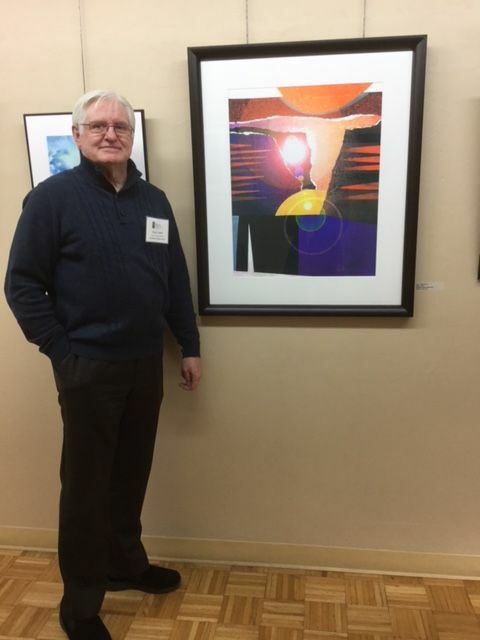 As a member of OSA, Greg is instrumental in installing member art shows and guest exhibitions. Offers a way for all to explore ways in which art and the artist may support the missions of faith groups and how they might also lead to a deeper understanding of an ever-evolving, transcending spirituality. the registry to registry@ecva.org. 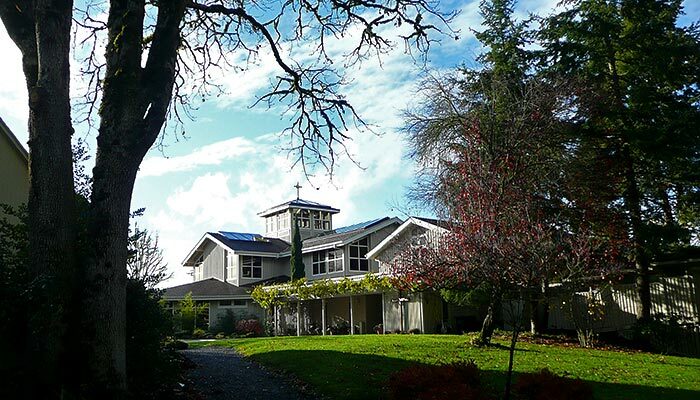 Check out Greg's archived article on his involvement with the Spirituality & The Arts Camp, 2005, Christ Church Episcopal Parish, Lake Oswego, Oregon. 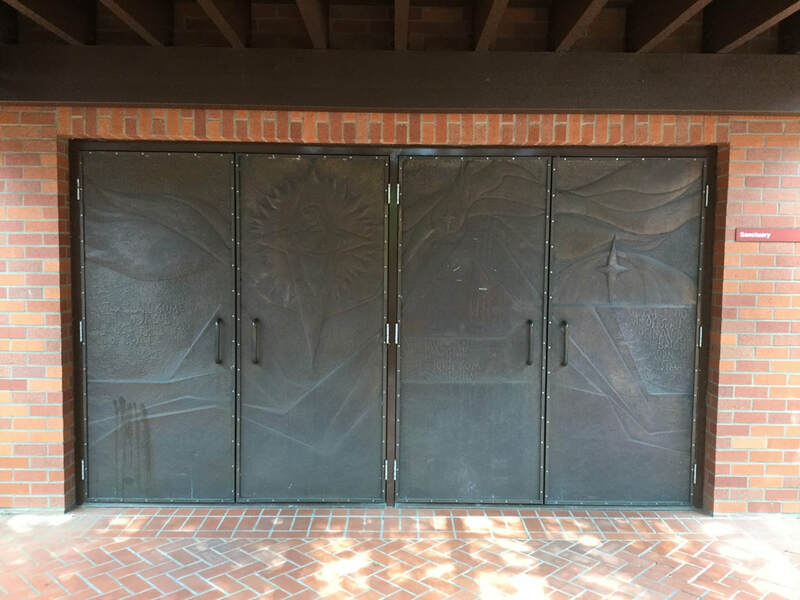 Since 1926 the Oregon Society of Artists has been promoting the artistic and professional interests of its members as well as providing visual arts programs to the public. 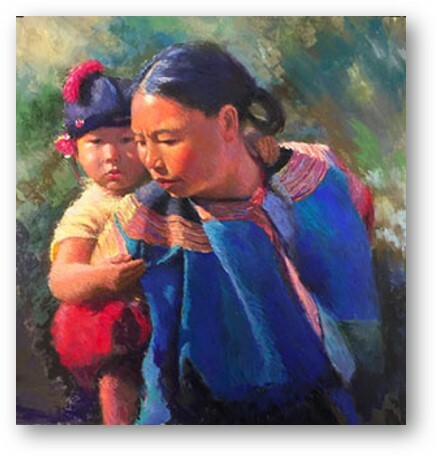 The OSA nurtures and promotes Oregon artists by providing exhibit opportunities, coordinating educational programs and doing various art-related projects for the community. Greg J. Lewis, Artist & Design Director will help coordinate installation with OSA member art shows and guest artist exhibitions. ​free viewing from 1 pm to 4pm daily except Sundays and Holidays. OSA memberships are available and visitors are always welcome. Plan your visit today! Please note that due to weather conditions, the Opening Reception will reschedule to Sunday, February 12th - 1:00-3:00pm. 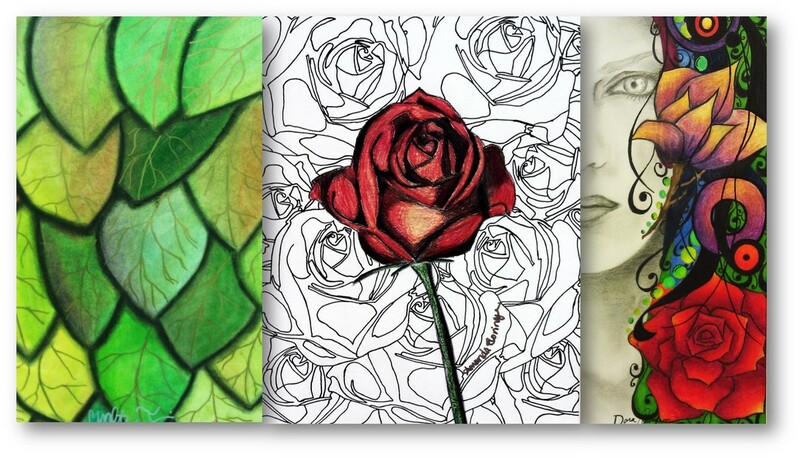 ​The 3 participating digital, giclee prints are from the Greg Lewis Studios Art Print Gallery Collection and are available for purchase. 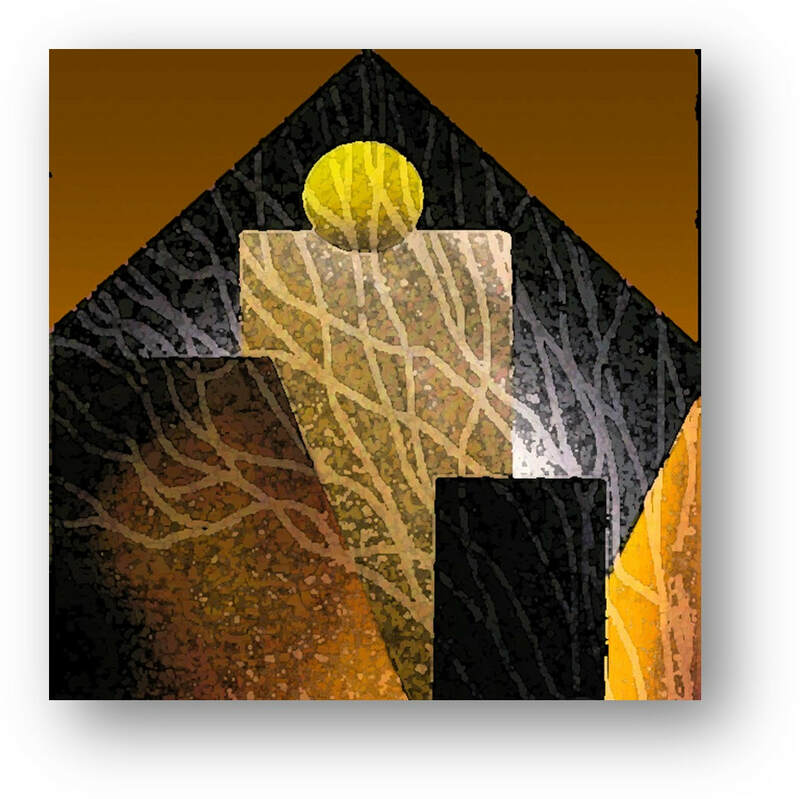 To express your interest in the GLS Art Print Gallery, I am happy to accept your call or email. Phone Greg Lewis at 503-348-5176 or by email: greg@greglewisstudios.net. 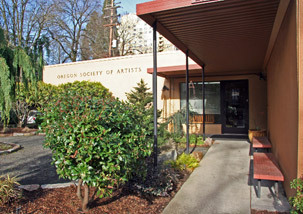 Since 1926 the Oregon Society of Artists has been promoting the artistic and professional interests of its members as well as providing visual arts programs to the public. 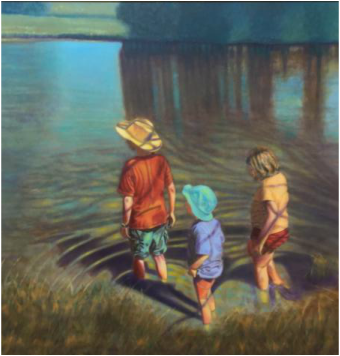 The OSA nurtures and promotes Oregon artists by providing exhibit opportunities, coordinating educational programs and doing various art-related projects for the community. Greg J. Lewis, Artist & Design Director will help coordinate installation with Concordia Library's Art & Culture Director, Linda Church, as well as both OSA member art shows and guest artist exhibitions. ​free viewing from 1 pm to 4pm daily except Sundays and Holidays. OSA memberships are available and visitors are always welcome. ​The Liturgical Artists Directory 2017, now in its 10th anniversary issue. is a resource publication of the Linda McCray Studio, LLC of Clancy, Montana. 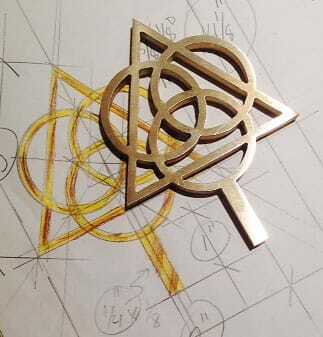 Listed members are liturgical consultants, artists, architects, and fabrication professionals. They are coming from a variety of fields and backgrounds including the arts, art history, architecture, education, liturgy, and pastoral work. They are passionate about and active in the ministry of church art and architecture. 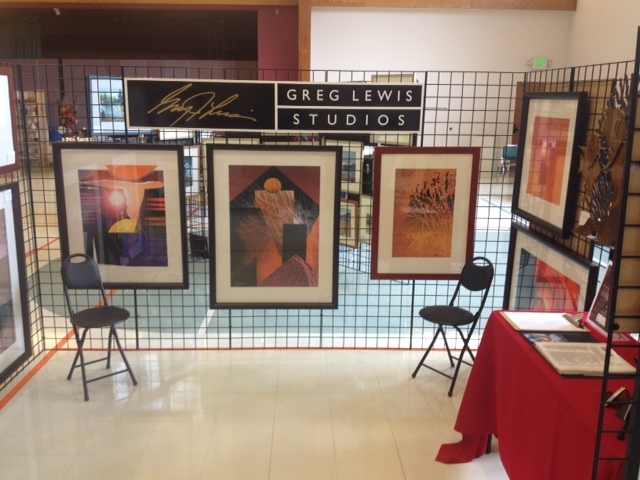 The art, design and art education work of the Greg Lewis Studios is listed on page two. For your next art and decor furnishings project, call Greg at 503-348-5176, email: greg@greglewisstudios.net, or access the GLS ART CONTACT link. News has reached me of the passing of beloved friend and gifted architect, J. David Richen. 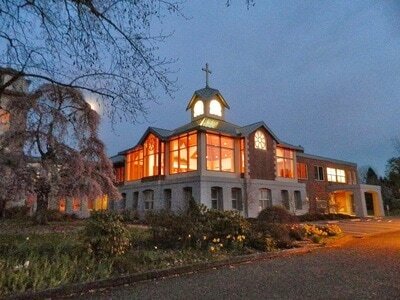 David and I met in 1982 when I joined the Liturgical Arts Resource Center, LARC at Marylhurst University. We were of like minds when we shared our faith and our liturgical art gifts and abilities. 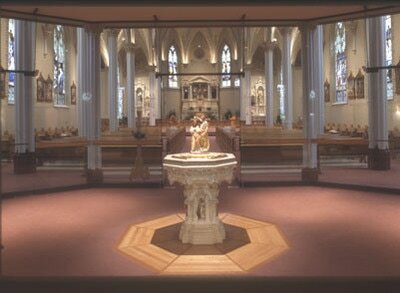 I was a practicing liturgical graphic designer and David was well involved in the development of church architecture. We shared studio space at a time and he would refer me to numerous art commissions from art murals, sculpture, stained glass to art restoration projects. 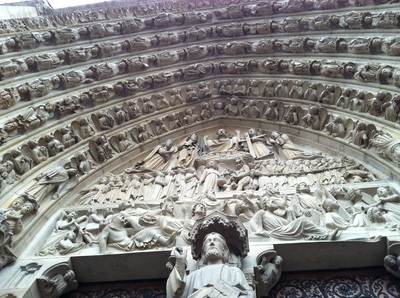 We often went out to view his work in progress, as well as churches completed. David had his inflences and personal friendship with the late architect, Pietro Belluschi, AIA. 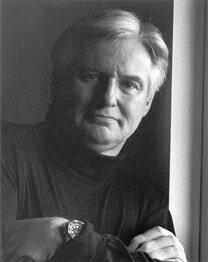 David was a great listener who personally, always working closely with his clients and hand picking his contractors, and using the best building materials. 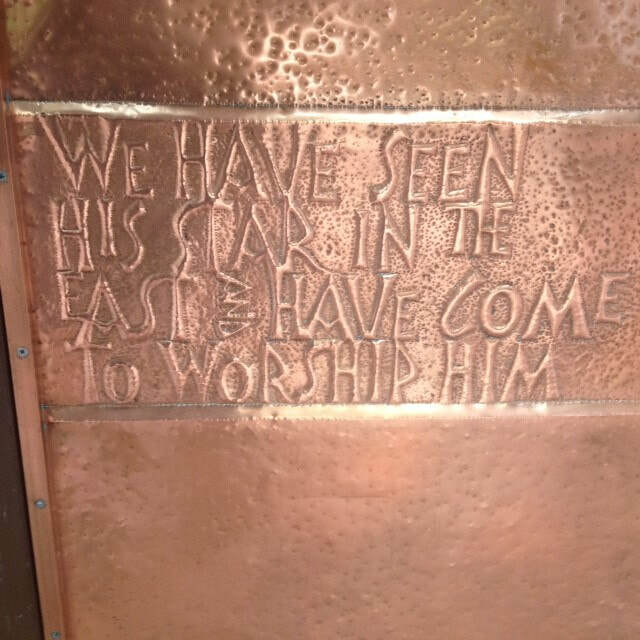 He loved good liturgical artists in his planning, as well as using their skilled artworks to complete the interiors of his churches, enhancing the worship experience to a wide range of communities. Please access the Sanctuary For Sacred Arts website page for more information on the life and times our dear friend and professional colleague, J. David Richen, RIP. January is Volunteer Show Month at OSA. Many artist volunteers who help assist in art workshops and classes, art administration, visitor hospitality and exhibit installation, are invited to show their best art works. 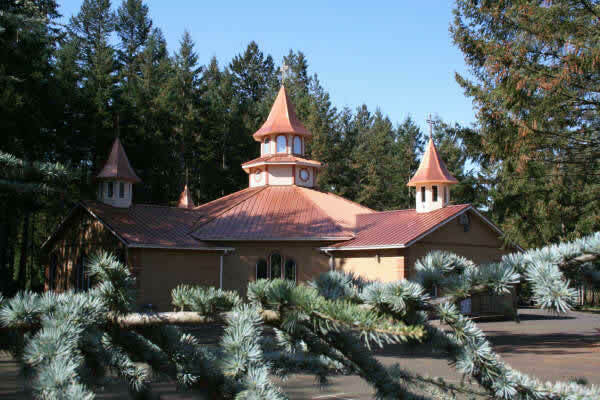 Since 1926 the Oregon Society of Artists has been promoting the artistic and professional interests of its members as well as providing visual arts programs to the public. 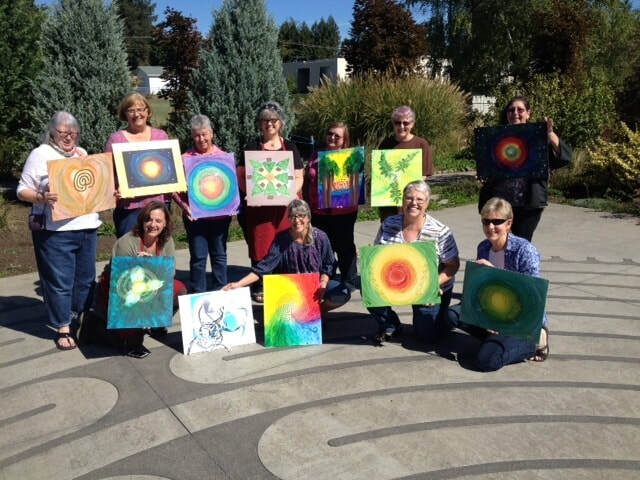 The OSA nurtures and promotes Oregon artists by providing exhibit opportunities, coordinating educational programs and doing various art-related projects for the community. ​The OSA Gallery is open to the public for free viewing from 1 pm to 4pm daily except Sundays and Holidays. GLS Giclee Art Print Gallery, I am happy to accept your call or email. Phone Greg Lewis at 503-348-5176 or by email: greg@greglewisstudios.net. Darin Klaas and project managed by Mark Balcom. and engineered by artist, John Groth. in the sanctuary space and in full service for its worship community. 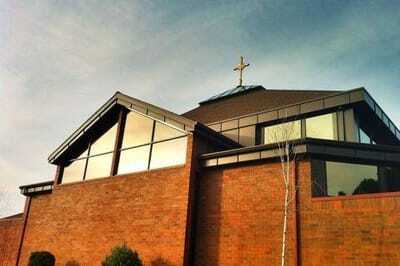 ​and concescrated by Archbishop, John Vlazny, Emeritus in 2001. 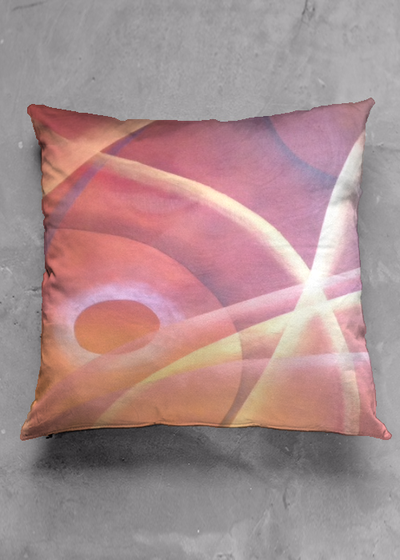 To express your interest in a future Art Project, I am happy to accept your call or email. Phone Greg Lewis at 503-348-5176 or by email: greg@greglewisstudios.net. You can also go to the GLS Contact Page of this GLS Website. Completed and installed January 8, 2016, now celebrating its first year. 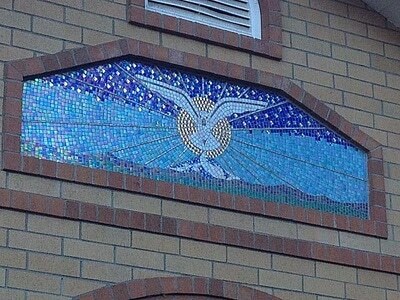 The dichroic glass tesserae graces the entrance tympanum of the parish community of Descent of the Holy Spirit Romanian Orthodox Church of Oregon, City, Oregon. GLS Contact Page of this GLS Website. 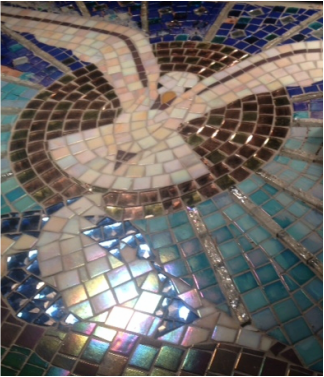 To express your interest in a future Art Mosaic or Art Glass Project, I am happy to accept your call or email. Phone Greg Lewis at 503-348-5176 or by email: greg@greglewisstudios.net. You can also go to the GLS Contact Page of this GLS Website. 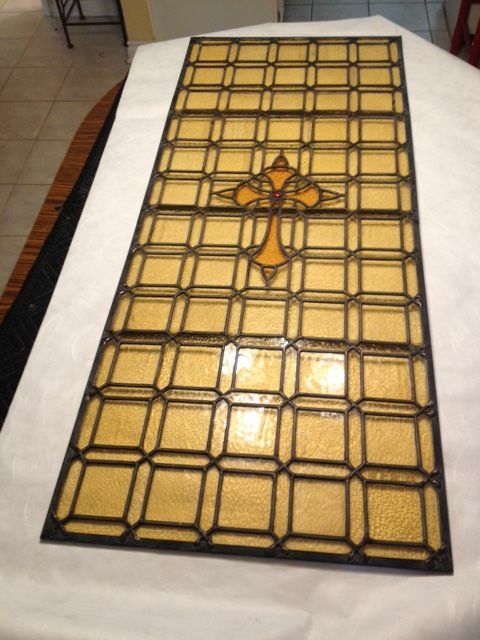 carved wood relief, metal relief, stained glass, etched glass, mosaic tile, mural work and beyond. 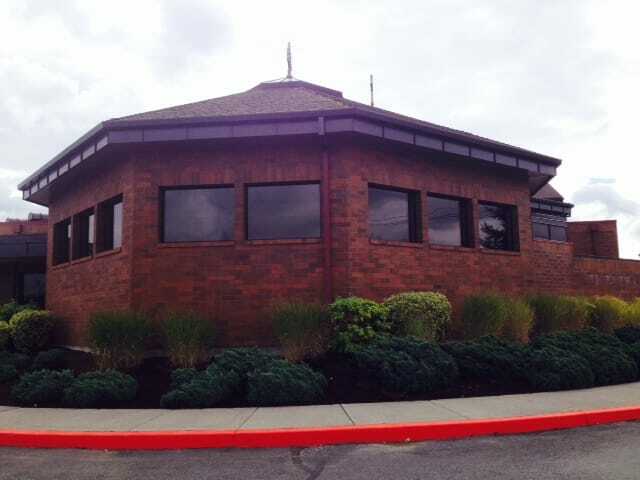 Since 1926 the Oregon Society of Artists has been promoting the artistic and professional interests of its members as well as providing visual arts programs to the public. 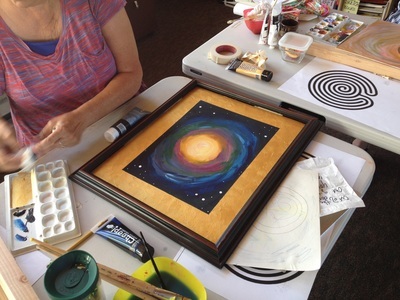 The OSA nurtures and promotes Oregon artists by providing exhibit opportunities, coordinating educational programs and doing various art-related projects for the community. Greg J. Lewis, Artist & Design Director will help coordinate installations for both OSA member art shows and guest artist exhibitions. The OSA Gallery is open to the public for free viewing from 1 pm to 4pm daily except Sundays and Holidays. Memberships available and visitors are welcome! 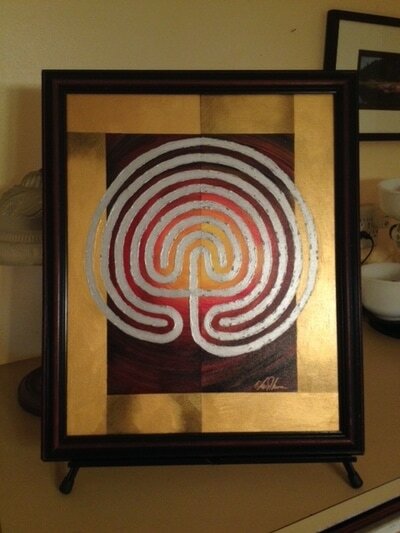 Join Greg Lewis, Liturgical Artist & Designer Director in this 5 hour labyrinth art workshop. Explore the spiritual art gifts of the centuries old meditation prayer form. 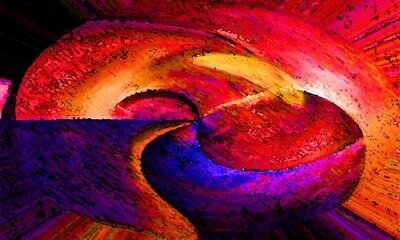 Using several art mediums, together we will create an outward reflection of our inner spiritual journey. The images below show artists enaged in creating their own personal art labyrinth. The Springwater Studio is a ministry of St. Luke's Episcopal Church in Gresham, Oregon. 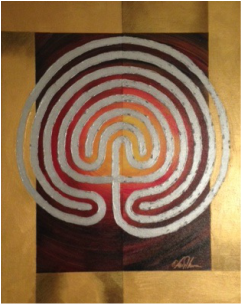 It was my host organization and offers for your use, a 11 circut outdoor labyrinth patterned after the one within Chartres Cathedral, outside of Paris, France. To express your interest in a future Art Workshop Project, I am happy to accept your call or email. Phone Greg Lewis at 503-348-5176 or by email: greg@greglewisstudios.net. You can also go to the GLS Contact Page of this GLS Website. We all live in a visual world, if only we have eyes to see and our interest to engage. This is true with art and design of the built world. ​The artists, architects, designers along with their craftsmen, have gone before us only to visually engage and inspire us. These are but a few memories of my art and design inspiration, formed during a field trip to Paris in the Spring of 2013. Enjoy! of today and continues to give us purpose and meaning. 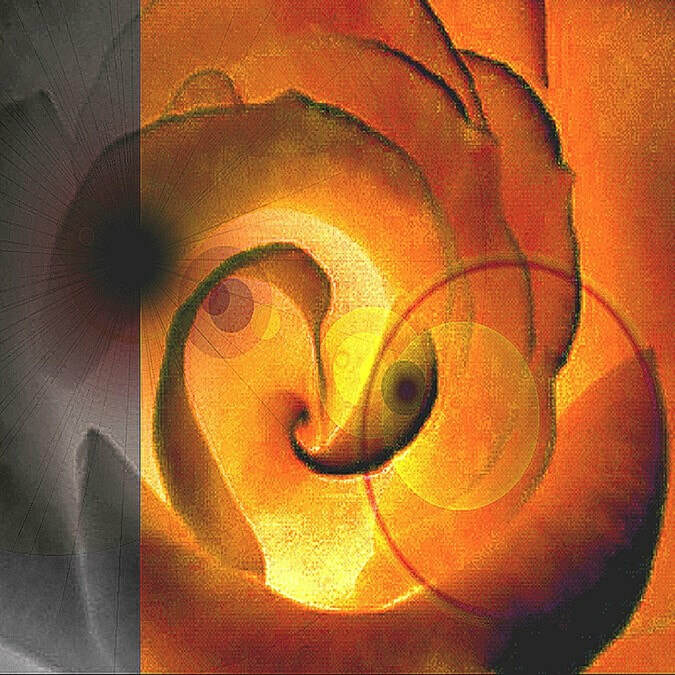 Originally created from cut paper collage, the images are digitally mastered using a artistic filters to achieve the desired effect. 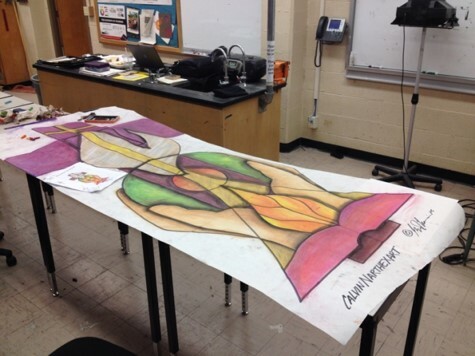 Implementing a multi-use approach, the final print is the basis for a stained glass window, folding screen, custom area rug, painted mural, art banner, mosaic art, etc. 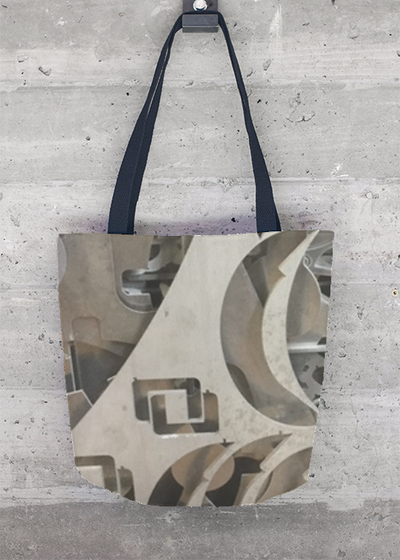 The possibilities are endless for forms and surfaces. A special note: When viewed with 3D party glasses, a surprise awaits. To express your interest in multi-use, GLS custom images for your special interior project, please access the GLS CONTACT page on this website. The final InterColor digital print (2007) is in a mat/frame and UV Plexiglas at 28 X 28 inches. To express your interest in a future Art Mural Project, I am happy to accept your call or email. Phone Greg Lewis at 503-348-5176 or by email: greg@greglewisstudios.net. You can also go to the GLS Contact Page of this GLS Website. 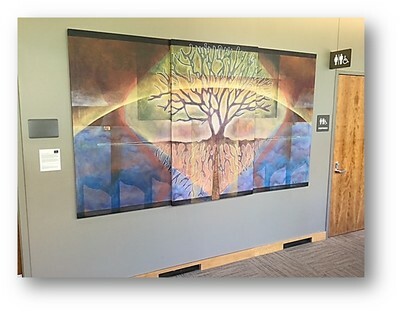 installations for both OSA member art shows and guest artist exhibitions. 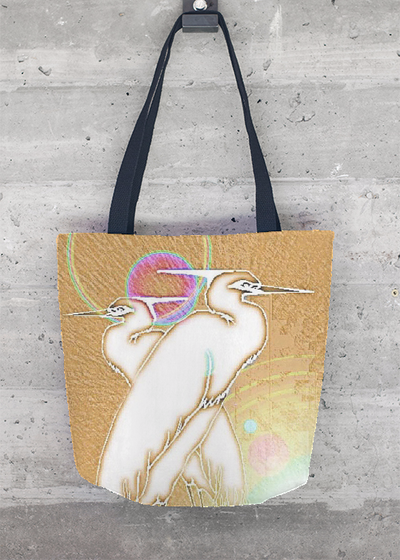 ​original art and that it touches the human spirit. 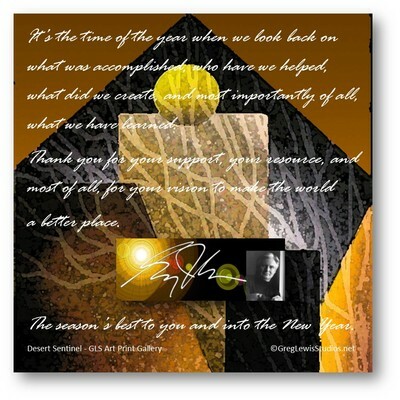 The items below is a preview of Greg's VIDA VOICES COLLECTION and is ready for your viewing. http://www.theartboxprojects.com/miamienglish, on Facebook and on Twitter. The biggest 'New Talents Art Project' for years at the best ARTSPOTS worldwide! Miami, Basel, New York, Hong Kong, Singapore, Zurich! This major art event gives the selected artists international exposure to art lovers, buyers, galleries, museums and art and book publishers. 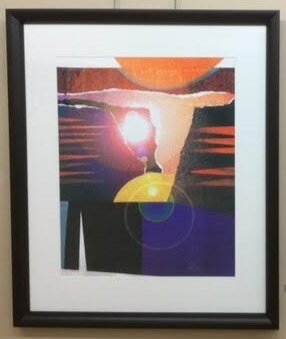 Greg's Spectrum Dance, originally created from cut paper collage, measures 46 X 60 inches and is for purchase at $4800 USD. 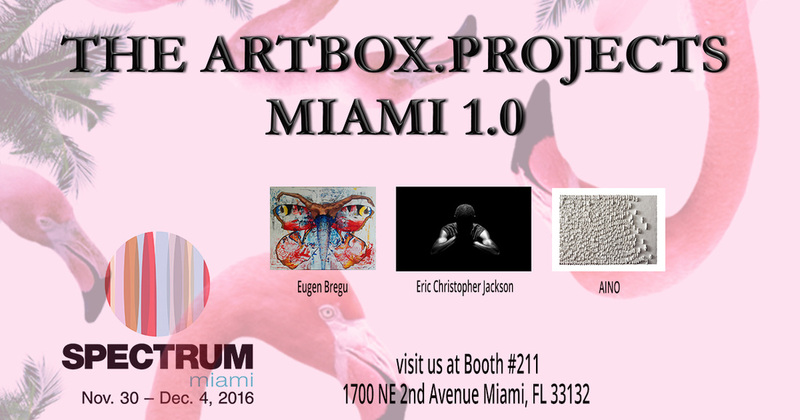 The finished, framed archival print (visually 3D in depth when basic 3D party glasses are worn) will be a part of Art Basel Art Weeks 2016 at the Miami Beach hotspot with over 40,000 visitors! Greg Lewis presents a short presentation of his Luther Bronze project. 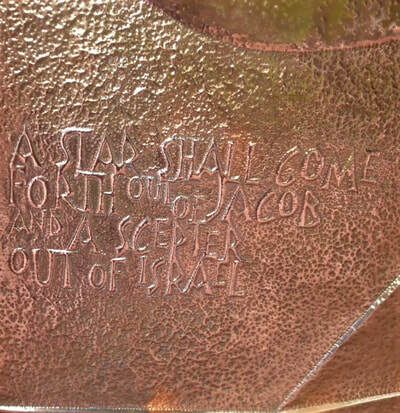 Commissioned in 2012 by Dr Dwaine Brandt, Professor emeritus of history. ​Greg will explain the process of creating a bronze symbol of one the most influential individuals whom helped to change the course of Western Civilization. 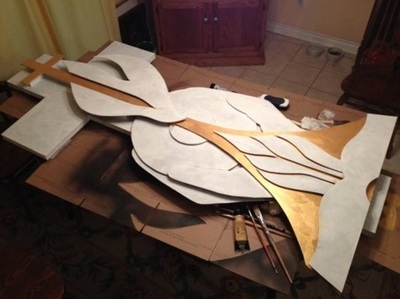 From original concepts, modeling, casting, finishing and final installation. Greg also credits the many skilled talents that have ​helped to bring this important educational symbol into reality. George R. White Library & Learning Center. ​503-348-5176 or by email: greg@greglewisstudios.net. You can also go to the GLS Contact Page of this GLS Website. 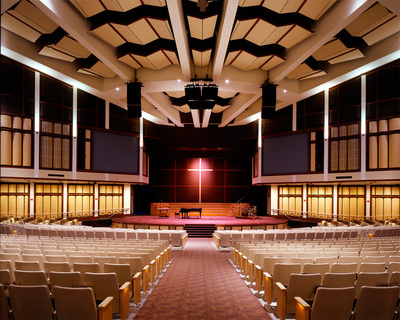 Liturgical Artist & Design Director, Greg Lewis, will facilitate a group discussion and overview of sanctuary concept crosses for the worship space. 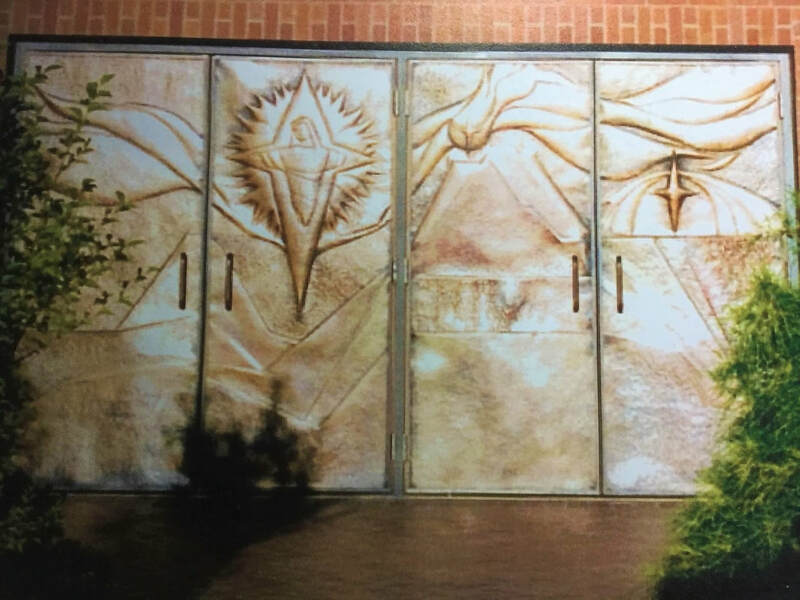 Based on guidelines offered by the USCCB's Built of Living Stones, during the design dialog process, Greg will presents several proposed design concepts to enhance the SJD sanctuary. 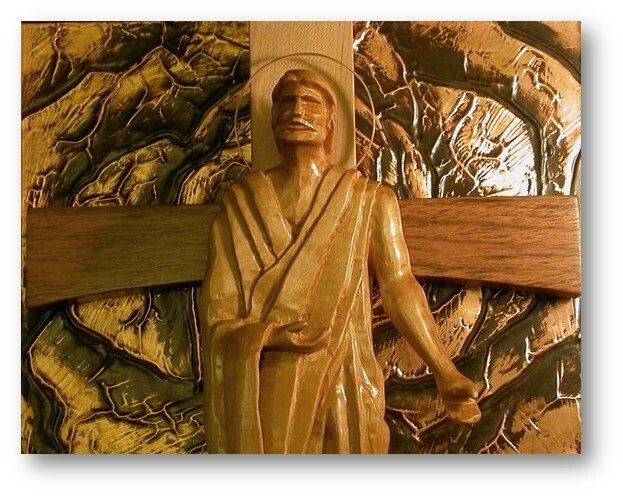 Discussing the significance of the parish's patron saint and his namesake heritage, Greg introduces a powerful Christian symbol of both death leading to resurrection and how a final option can be integrated into their modern worship environment. 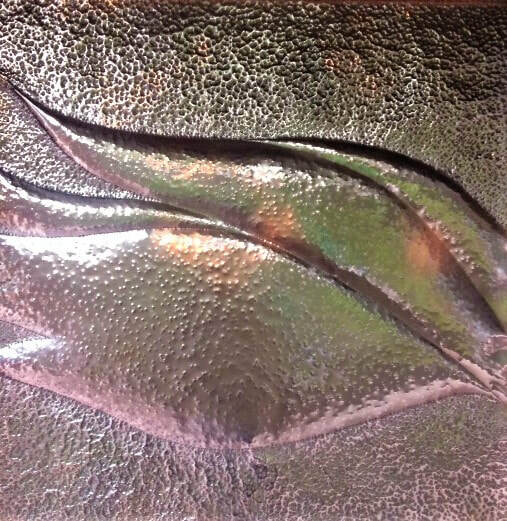 To express your interest in a future Art Sculpture Project, I am happy to accept your call or email. Phone Greg Lewis at 503-348-5176 or by email: greg@greglewisstudios.net. You can also go to the GLS Contact Page of this GLS Website. 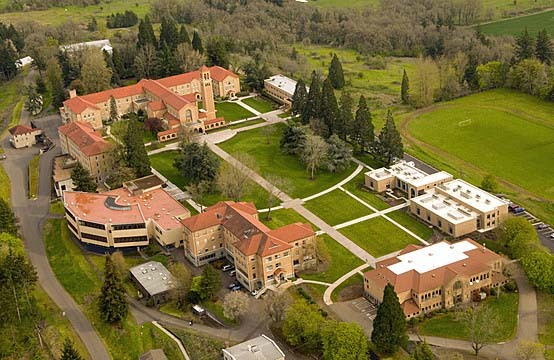 ​Since 1926 the Oregon Society of Artists has been promoting the artistic and professional interests of its members as well as providing visual arts programs to the public. The OSA nurtures and promotes Oregon artists by providing exhibit opportunities, coordinating educational programs.and doing various art-related projects for the community. "Whether the new artist is developing an emerging art talent or the artist with years of experience, emerges into new creativity, I view the subject matter for its originality and focus on its visual impact. Yes, the elements of art with its use of line, color, tone and texture and the principles of design with its composition and contrast do apply, but the level of maturity exercised in the artwork must prevail." 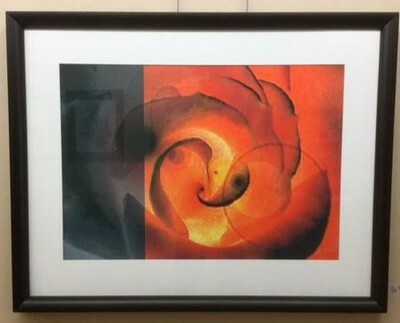 The following OSA ART AWARD images are copyright to their owners and are shown here for educational use only. 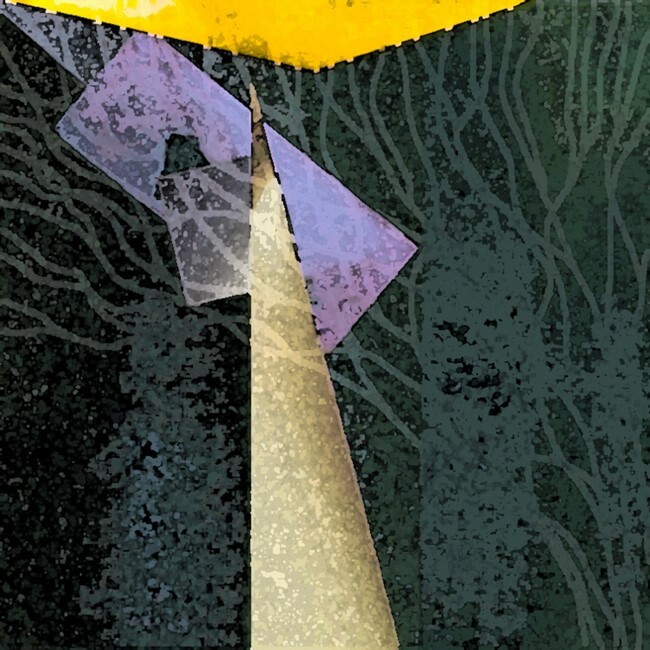 ​ ​“Thanks to all the OSA Exhibiting Artists for your inspiring artworks. For as artists, our best work will always lay ahead of us. As for ​our audience? 51 years of faith, fellowship, community, worship and service. 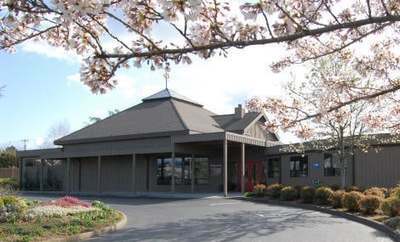 The senior community of Rosewood Park of Hillsboro, Oregon, has chosen the Greg Lewis Studios to lead a tour to Mt. Angel, Oregon. 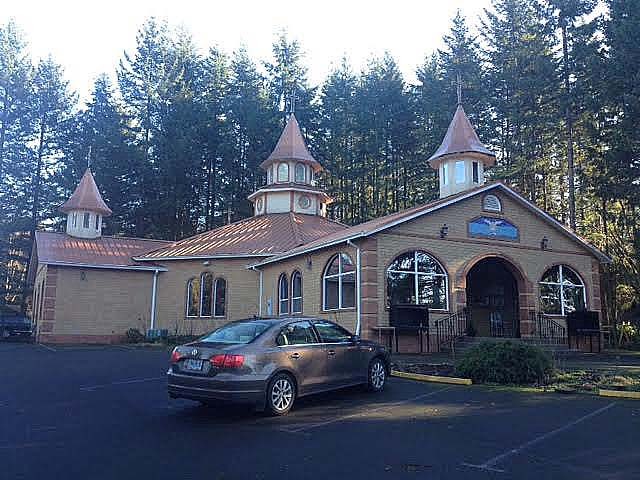 Together we will visit the iconic St. Mary's Catholic Church with its signature German Gothic style. In addition to our Mt. Angel experience, will be visiting the Glockenspiel Restaurant for lunch. The tour culminates with the visually stunning world famous Mt. Angel Benedictine Abbey. Highlighting the Alvar Aalto Library with its fine collection of medieval manuscripts, the abbey church and beautiful grounds. ​I created a small sacred place on a studio wall. For me personally, it became a visual sign and symbol of those artists whom God has called into the service of the Church. This particular edition is a beautifully designed and written opus that spans the life and times, both major and little known works by this extraordinary artist and sculptor. 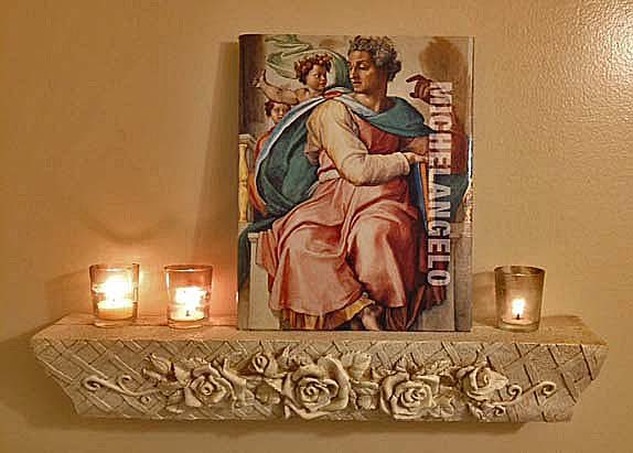 The book explores Michelangelo's artistic heritage. His friends, contemporaries, his successes and failures throughout an incredible art and architecture career. 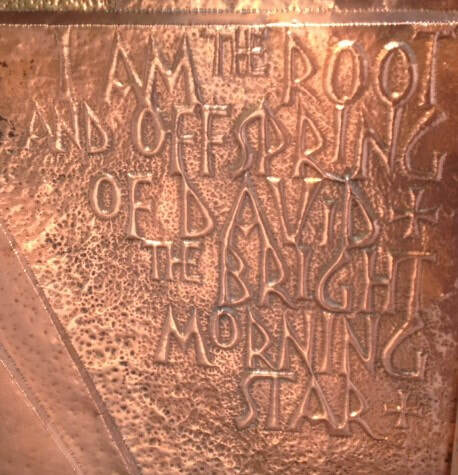 It includes mention of his ever present critics and his tumultuous patron and client relationships with the Church. This stunning edition is complete with select enlarged foldout details of his Sistine Chapel ceiling commission. Each page produces accurate color reproductions of his projects, often in extreme closeup. Even some of his personal letters are included in this uniquely written volume...worthy of a sacred space. 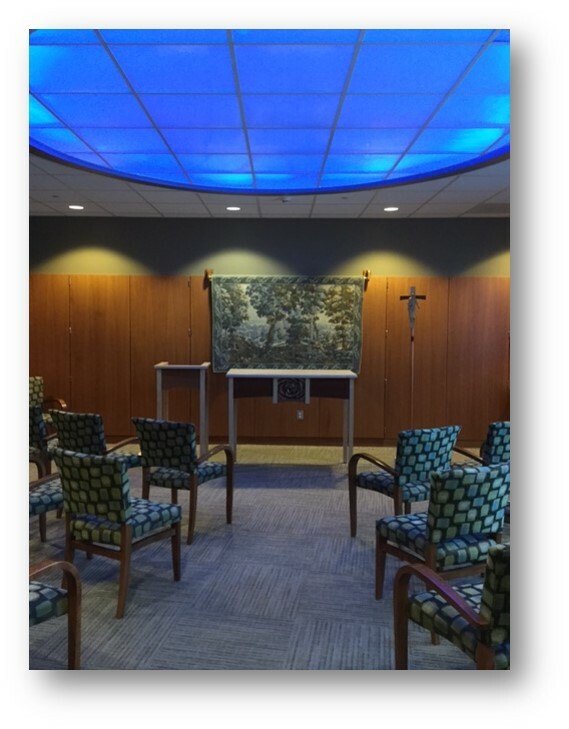 The Association of Consultants for Liturgical Space is a voluntary membership organization of professionals dedicated to the creation of beautiful worship spaces for faith communities. The Association carries on its work through an elected governing board and the efforts of its members. 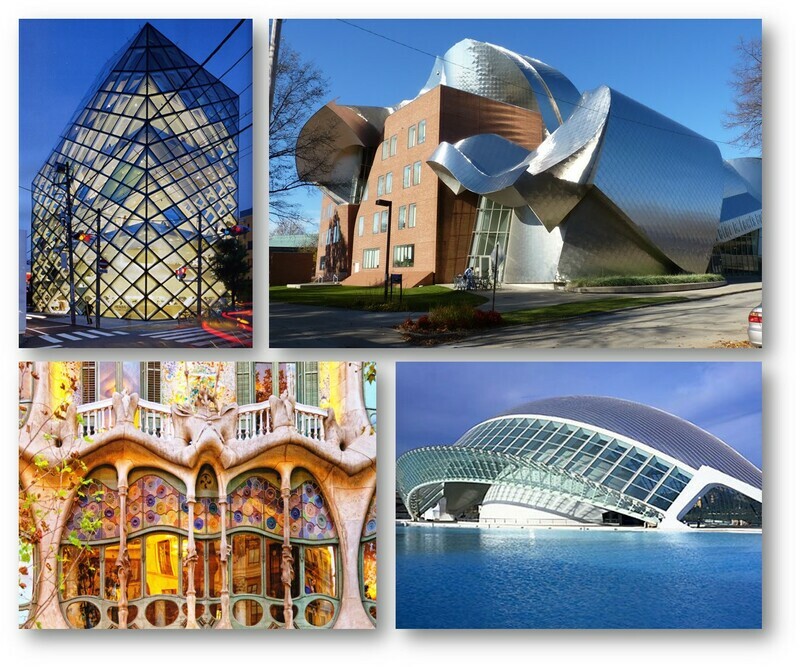 ACLS members are liturgical consultants, artists, architects, and other professionals. They are coming from a variety of fields and backgrounds including the arts, art history, architecture, education, liturgy, and pastoral work. They are passionate about and active in the ministry of church art and architecture. 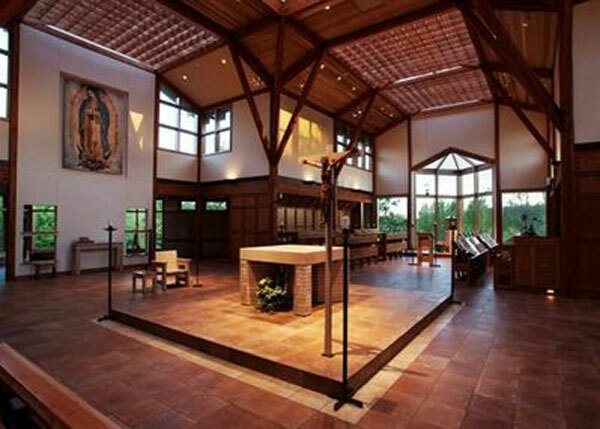 Commissioned in 2013​, the Greg Lewis Studios worked closely with the Chapel Design Team of St. Andrew Lutheran Church ELCA in Beaverton, Oregon. The interior design plan of their new chapel included a custom designed stained glass window to grace the corner of its western wall. Several concepts were explored, leading to the final design of a "Cosmic Infinity" window in 3 panels. ​Fabricated and installed by the Greg Lewis Studios during the summer months, an unexpected epiphany of light occurred. 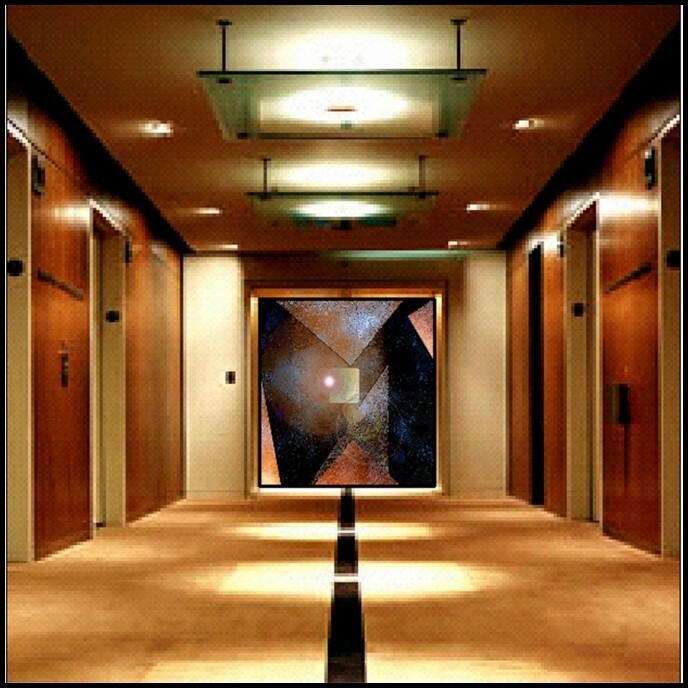 As the sun set in the west, the colored light transmitted through the glass panels slowly traveled across the wall, down to the floor and onto the far wall across the room. 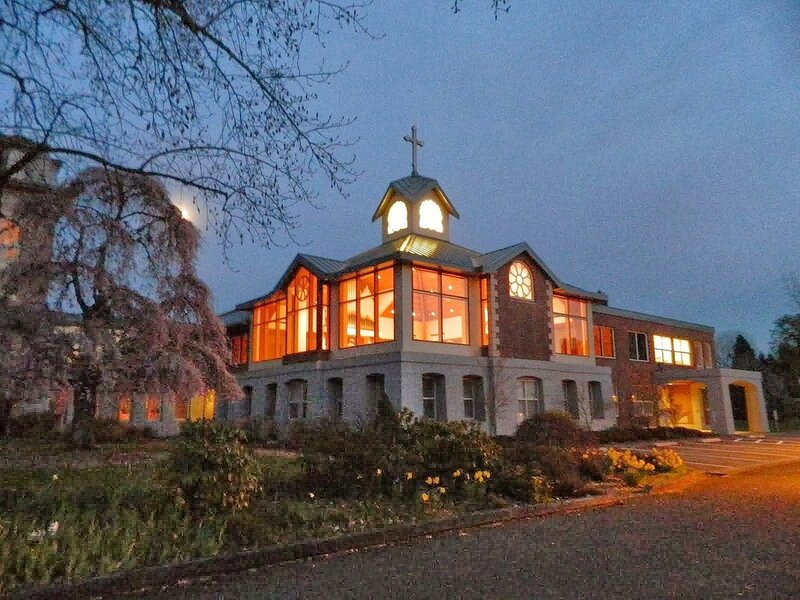 Inspired by this event, an exterior light was installed to cast light into the chapel ​for evening meditation and worship services. 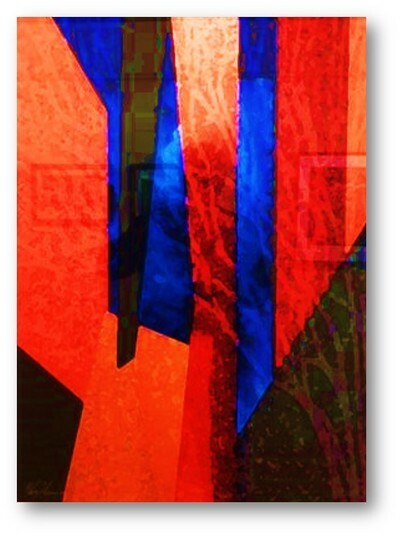 Site specific contemporary designs are now available for Art Glass Commissions by the Greg Lewis Studios. 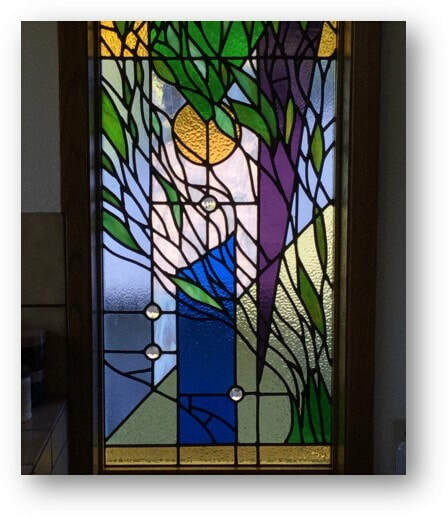 All projects are produced with high quality stained art glass and traditional lead caming to suit your interior needs including secure installation. 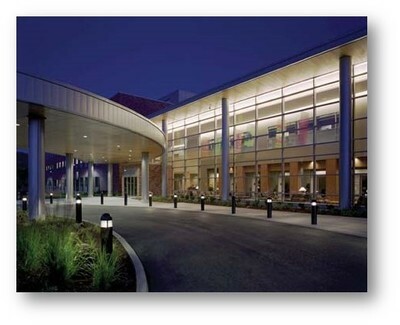 All art glass projects, are licensed, insured, bonded and warranted for one year. As always, your kind referrals are most welcomed. Go to the GLS Art Contact page for your questions, comments and project referrals. I am happy to accept your call or email. Phone Greg Lewis at 503-348-5176 or by email: greg@greglewisstudios.net. 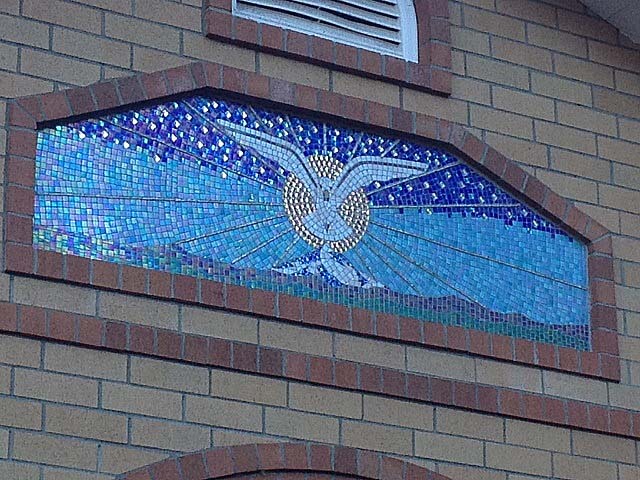 Inspired by the Byzantine style mosaics of the Basilica of San Vitale, Ravenna, Italy, St. Mark's Basilica, Venice and the Great Basilica of Hagia Sophia (Church of the Holy Wisdom), Istanbul, Turkey (formerly Constantinople)...the Greg Lewis Studios was commissioned by the parish community of Descent of the Holy Spirit Romanian Orthodox Church of Oregon, City, Oregon. graces the entrance tympanum of the church building. 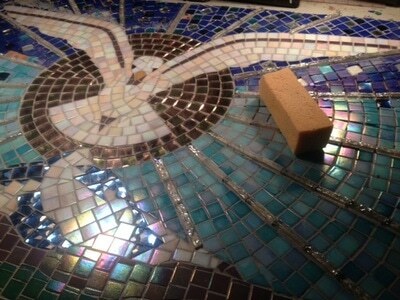 To express your interest in a future Art MosaicProject, I am happy to accept your call or email. Phone Greg Lewis at 503-348-5176 or by email: greg@greglewisstudios.net. You can also go to the GLS Contact Page of this GLS Website. 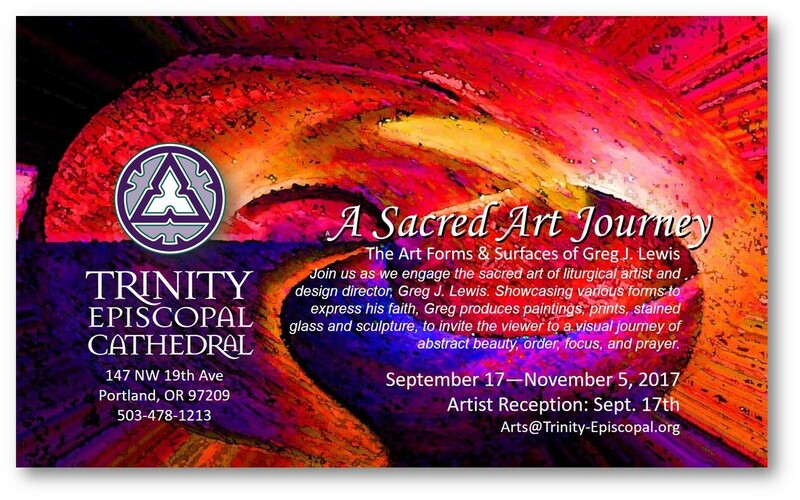 ​Join Greg J. Lewis, Liturgical Artist & Design Director in this richly visual journey through 2000 years of Art in the Christian Church in a Friday evening and Saturday Slide/video presentation format. From the catacombs of Rome to the Gothic cathedrals of Europe and beyond. Together we will trace the great periods of art and architecture that have influenced our Christian worship spaces of today, giving us purpose and meaning. 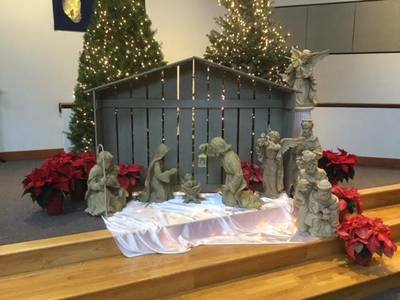 For St. Andrew Lutheran Church: please register through the church office (call 503- 646-0629), or e-mail office@standrewlutheran.com. Cost for the event is $25 and is open to the public. Make checks payable to St. Andrew. All other ACC Seminars are free and open to the public. 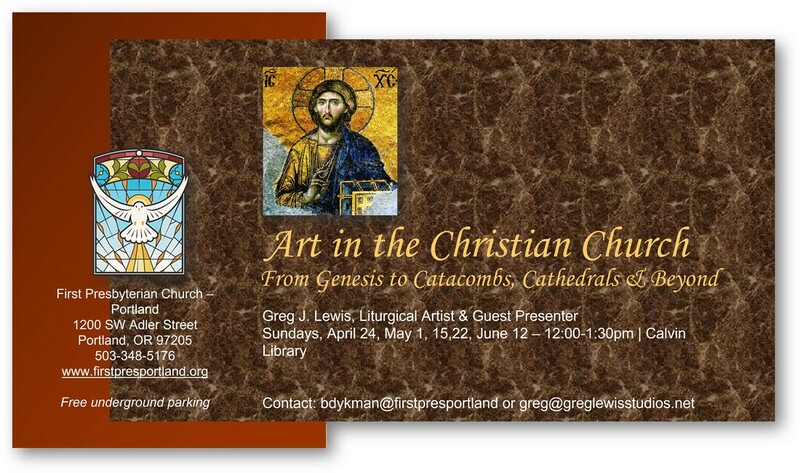 To express your interest in a future Art in the Christian Church Seminar, I am happy to accept your call or email. Phone Greg Lewis at 503-348-5176 or by email: greg@greglewisstudios.net. You can also go to the GLS Contact Page of this GLS Website. ​Now available for your scheduling plans in 2016-17. Go to the GLS Contact page to express your interest. 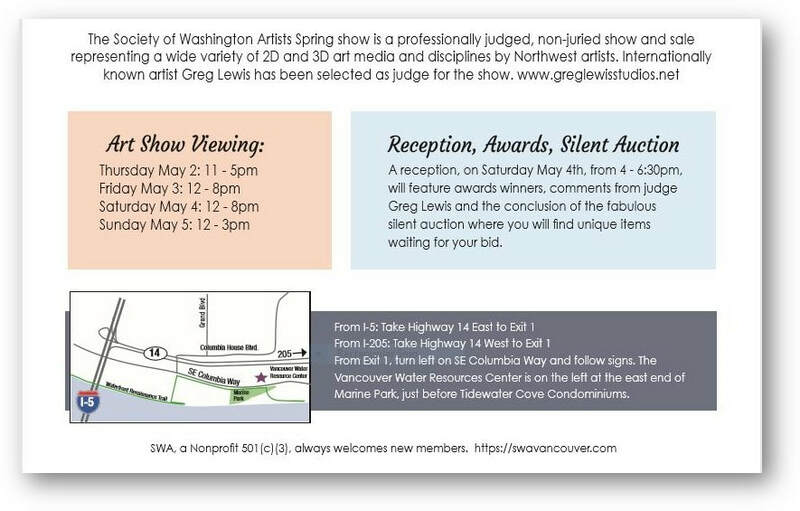 Join mixed media artist and designer, Greg Lewis as one of 44 artists in the 6th annual indoor art sale. Various high quality art media is on sale by each individual artist. Featured activities during the show is the Friday evening artists preview and reception ($5) with music by pianist, Craig Bidondo. 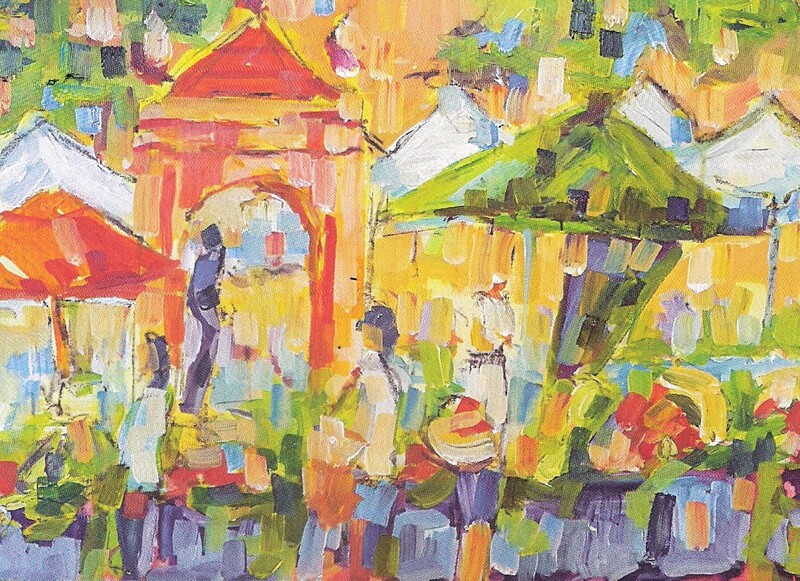 Fashion show, gourmet dessert bar and artist demos are also featured Saturday & Sunday - Admission is free with a portion of all art sales going to support the missions of the church. In the Book of Genesis, God’s creation story, says that “everything God had created was good”. 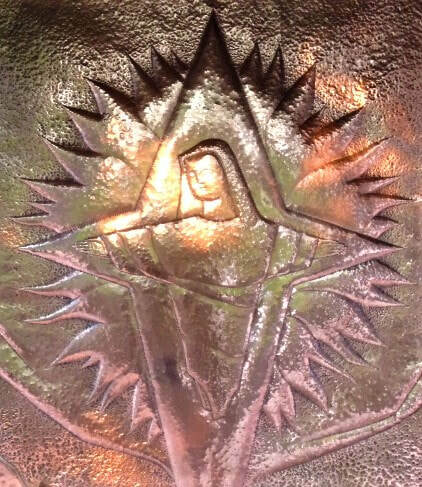 We share in that creation heritage. We all have been given the innate ability to create. For when we do create, in whatever level and form, we reflect God’s glory. It is this gift of artistic expression, with all its emotions, reflects that glory. Even the great art periods of Western Civilization, centuries of art, architecture and even music, many artists have reflected their expressions of faith utilizing various forms and art mediums. That cultural heritage continues today leaving a legacy of hope to inspire future generations. 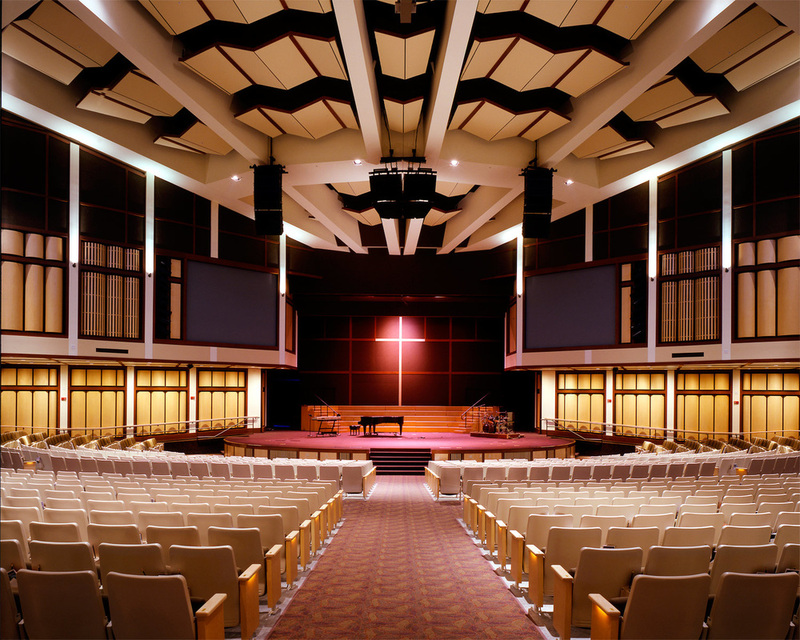 For we all live in a visual world where the Church’s art and architecture still generates the outward signs and symbols of God’s creative gifts to help our growth in faith. Each artist has the ability and the courage to produce an inspired subject. 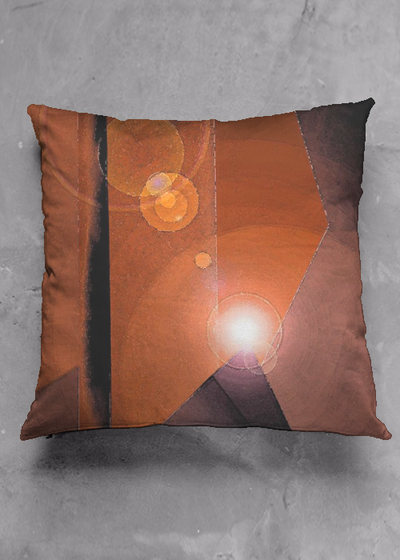 From an empty canvas, paper, and various art mediums, even a lump of clay, to an object of interest and beauty. Today, we can all share in God’s creative spirit. 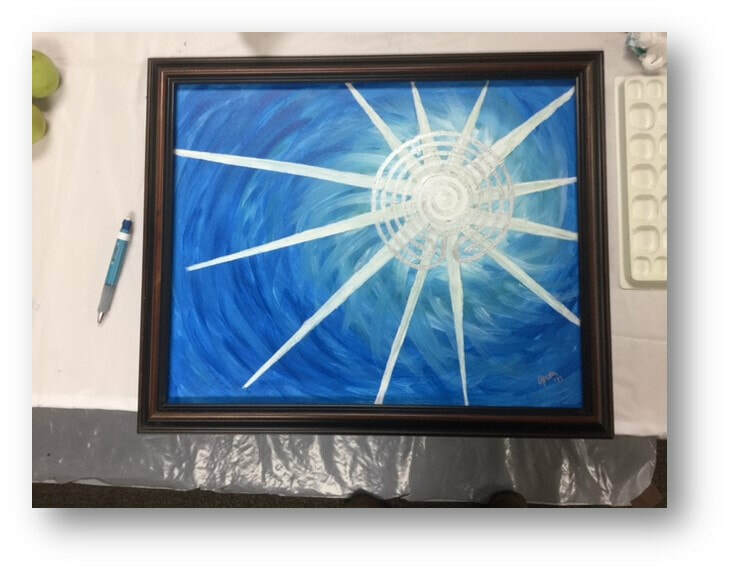 Next door, right here in this church building, gifted artists are displaying their art and craft; the sales of which will help to carry out the mission programs of Calvin’s worship community. I warmly invite you to visit the Festival of the Arts and enjoy the creative talents which reflect God’s glory in each of us. For detailed information, download the file below. To express your interest in any of the above Art News items, I am happy to accept your call or email for more information. Phone Greg Lewis at 503-348-5176 or by email: greg@greglewisstudios.net. You can also go to the GLS Contact Page of this GLS Website to inquire on design/fabrication proposals, speaking events and or art workshops. 50 years of faith, fellowship, community, worship and service. 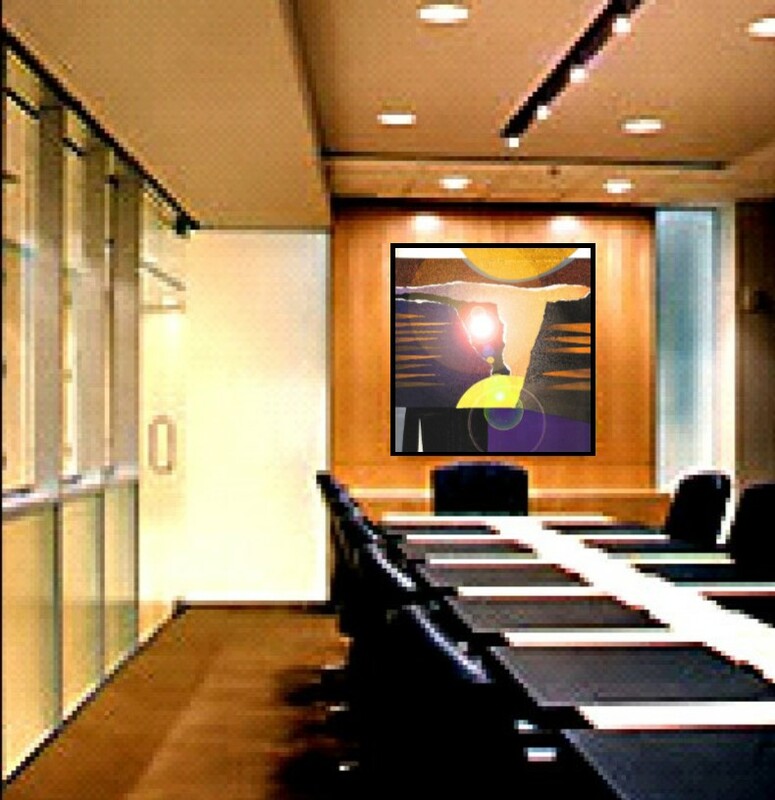 As artist, designer and now jurist has allowed me the opportunity apply my years of professional experience in creating art and design for numerous private collections and commercial installations. And in addition, 21 years of teaching art to non-art majors at the college level. 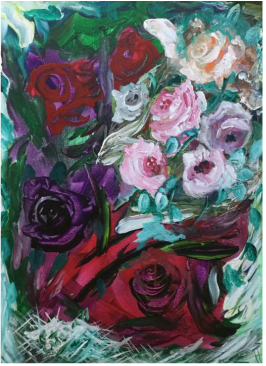 Whether the new artist is developing an emerging art talent or the artist with years of experience, is emerging into new creativity, I look beyond the subject matter for the originality of the work and focus its ability to catch my eye with visual impact. 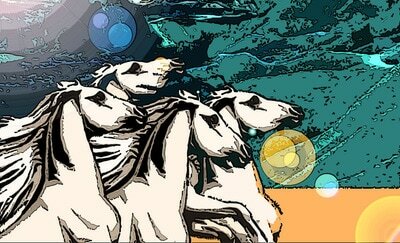 Yes, the elements of art with its use of line, color, tone and texture and the principles of design with its composition and contrast do apply, but the level of maturity exercised in the artwork must prevail. 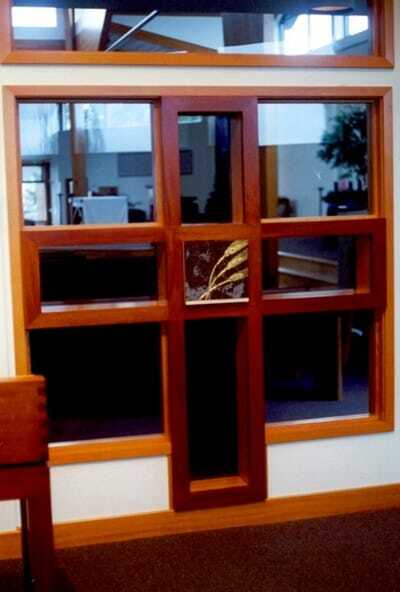 Designed and fabricated for Concordia University's George R. White Library & Learning Center﻿ in Portland, Oregon. 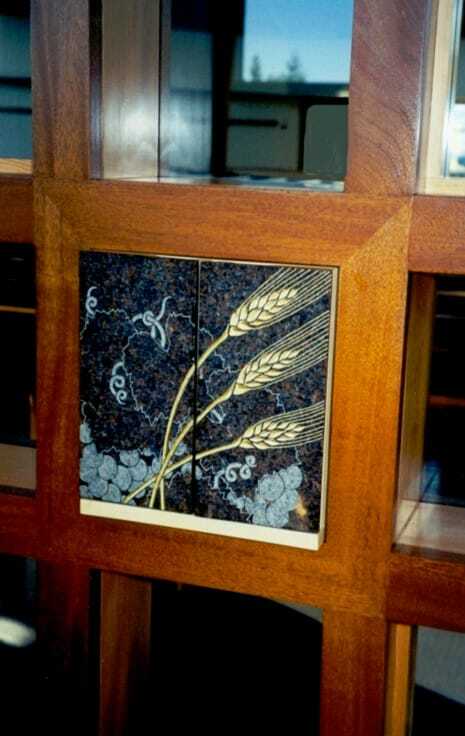 Complementing existing library furnishings, the archival display pedestal was envisioned by the Greg Lewis Studios and crafted by the collaborative team at HBB Studio in Portland, Oregon...."a remnant piece of the Berlin Wall...an international symbol of freedom". "We welcome change and openness; for we believe that freedom and security go together, that the advance of human liberty can only strengthen the cause of world peace. There is one sign the Soviets can make that would be unmistakable, that would advance dramatically the cause of freedom and peace. General Secretary Gorbachev, if you seek peace, if you seek prosperity for the Soviet Union and eastern Europe, if you seek liberalization, come here to this gate. Mr. Gorbachev, open this gate. Mr. Gorbachev, tear down this wall!" 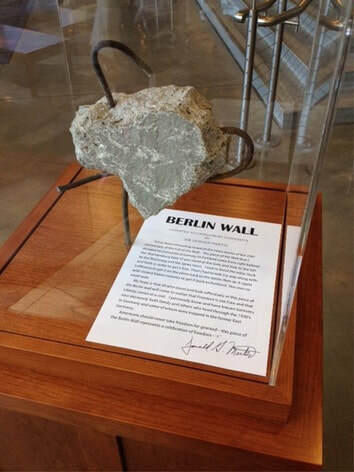 To view the Berlin Wall Artifact and other historical memorabilia, visit the Concordia University's George R. White Library & Learning Center. In Autumn, 1989 - Peaceful demonstrations originating from the Lutheran Church of St. Nicholas (Nikolaikirche), led thousands of protesters to demand freedom, civil rights, and democracy from the East German State, leading to the fall of the Berlin Wall. 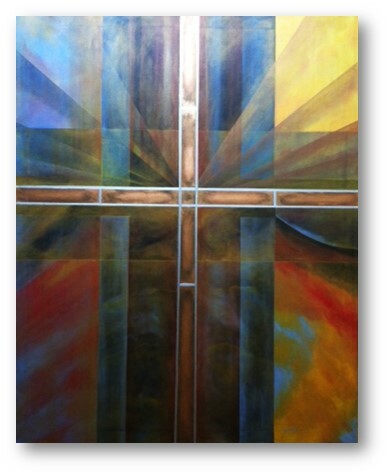 Join Liturgical Artist, Greg Lewis as we journey through 2000+ years of Art in the Christian Church. 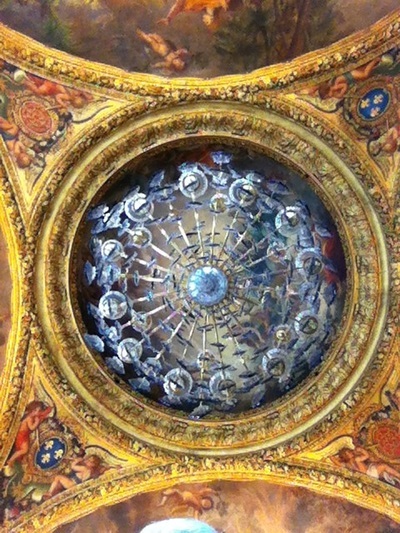 From the catacombs of Rome to the Gothic cathedrals of Europe and beyond. Together we will learn and understand God's signs and symbols that still speak to us. Through an ecumenical series of five (5) richly visual presentations, we will trace the great periods of art and architecture, influencing our Christian worship spaces of today and that have given us purpose and meaning. This event is free and open to the public, so seating is limited. To register, or for more information, please contact Greg Lewis: 503-348-5176, or email: greg@greglewisstudios.net.To express your interest today in reserving dates for your organization by contacting the Greg Lewis Studios for more detailed information on scheduling and speaker honorariums. “...arguably the most distinguished man of letters in English history". He is also the subject of "the most famous single work of biographical art in the whole of literature": James Boswell’s Life of Samuel Johnson. Enjoy a personal viewing of Concordia University Libraries' archival edition one of the most famous of English literary works. Designed and fabricated for the new library at Concordia University's George R. White Library & Learning Center in Portland, Oregon. Oregon Cherry wood complement the existing furnishings by the Greg Lewis Studios' collaborative team at HBB Studio in Portland, Oregon. Created to display a rare archival edition of the first Dictionary of the English language authored by Dr. Samuel Johnson (1709-1785), ''The Dictionary Man". “...arguably the most distinguished man of letters in English history". He is also the subject of "the most famous single work of biographical art in the whole of literature". 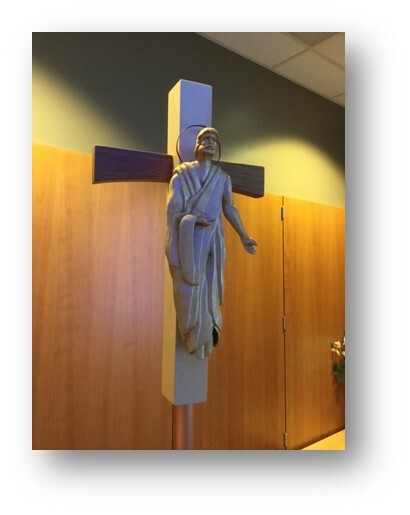 Design and fabricated for the new chapel at St. Andrew Lutheran Church ELCA in Beaverton, Oregon. Matching woods of Oregon White Oak and Walnut complement the existing chapel furnishings by the Greg Lewis Studios' collaborative team. Created as a sign and symbol of God's healing, the prayer shawl rack was expertly fabricated by the skilled craftsmen at HBB Studio in Portland, Oregon. 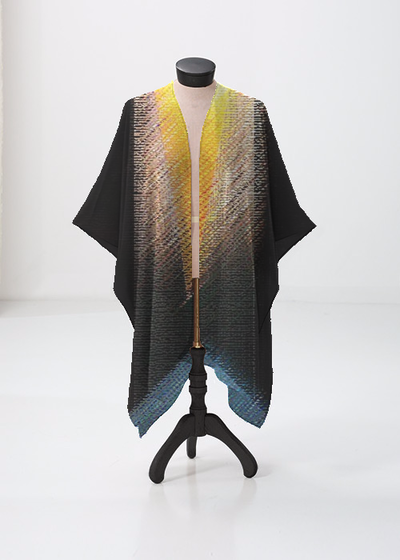 "For those undergoing medical procedures; experiencing an illness or recovery; those in need of comfort after a loss, during bereavement or while experiencing birth of a new baby or nursing a baby; ministering to others; extension of friendship or a bridal shower gift are all good reasons to give a prayer shawl." To express your interest in any of the above Art News items, I am happy to accept your call or email. Phone Greg Lewis at 503-348-5176 or by email: greg@greglewisstudios.net. You can also go to the GLS Contact Page of this GLS Website to inquire on design/fabrication proposals, speaking and or art judging honorariums. All art judging projects include a slide show presentation of the award winners to include judging comments.